Successfully detected inside a Student's vehicle while parked on a High School Campus during the Academic Day. 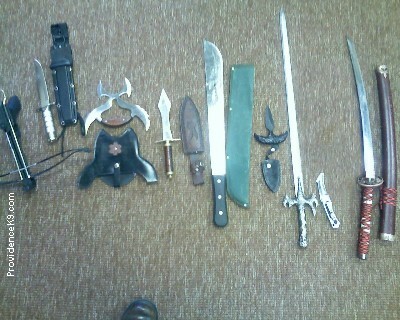 Successfully detected inside a Student's Backpack while in a Classroom on a High School Campus during the Academic Day. Synthetic K2 (Spice) successfully detected inside a vehicle while parked on a High School Campus. 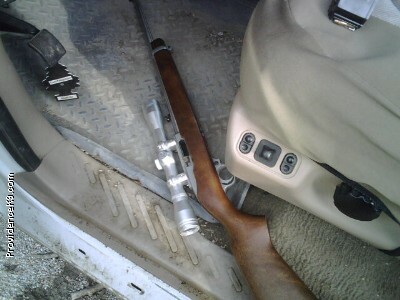 Successfully detected inside a Student's vehicle while parked on an Alternative School Campus during the Academic Day. Substituting for an ice chest, this iced down Pabst Blue Ribbon Beer was successfully detected while hidden inside a sanitary napkin disposal container in the last stall of a Women's Restroom on a large High School Campus. Students would sit in the last stall and consume between classes. 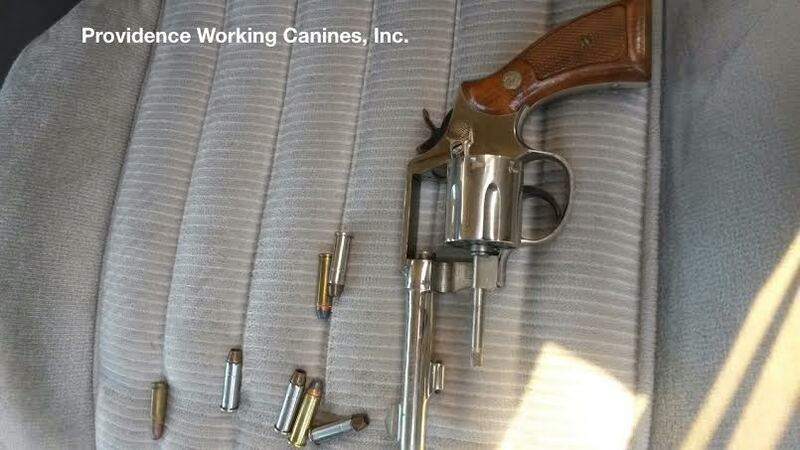 This bundle of trouble was successfully detected inside a Student's vehicle while parked on a High School Campus. Successfully detected inside a Student's vehicle while parked on a High School Campus during the Academic Day. 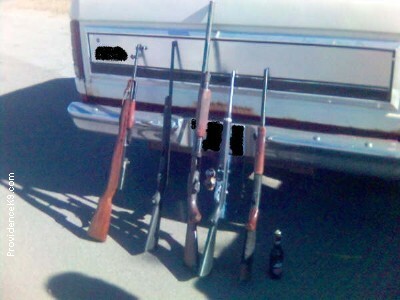 This large cadre of firearms were within close proximity to the main Classroom Building containing the populace of the Student Body. 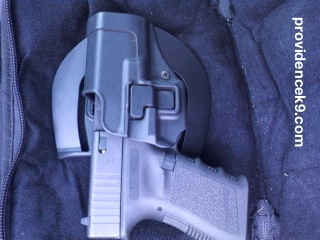 One of the handguns was found over the visor. 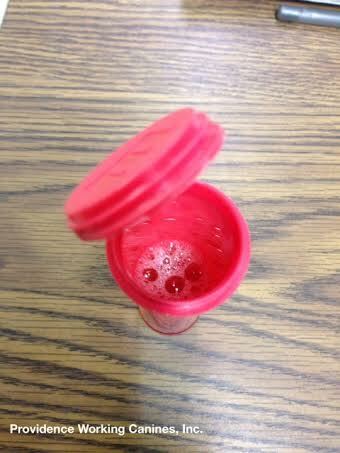 Successfully detected both Dextromethorphan (DXM) and Marijuana inside a vehicle parked on a High School Campus. 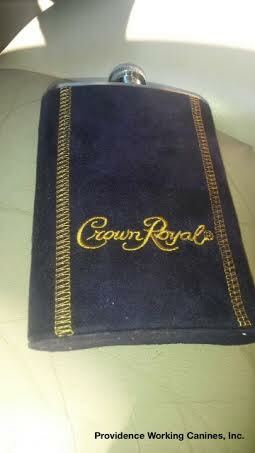 Successfully detected Crown Royal inside a Student's Purse on a High School Campus. Successfully detected on a Technology Center Campus. 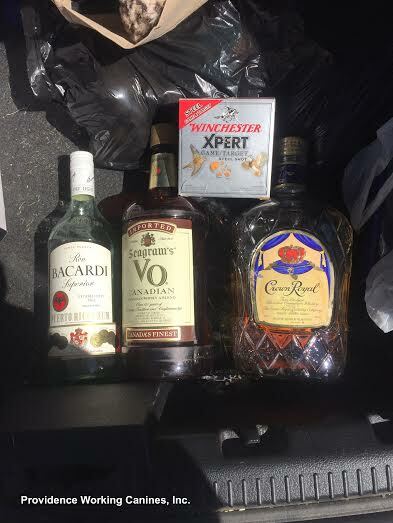 Party Favors successfully detected while hidden inside a closed center console of a Student's vehicle parked on a High School Campus during the Academic Day. 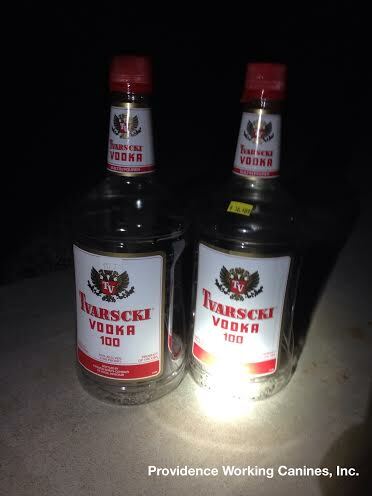 Both Vodka & Marijuana successfully detected inside a vehicle while parked on a High School Campus. 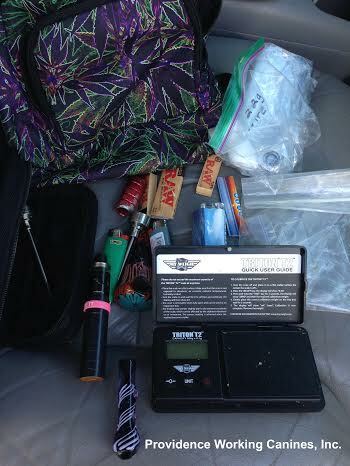 Successfully detected inside a Student's vehicle parked on a High School Campus. 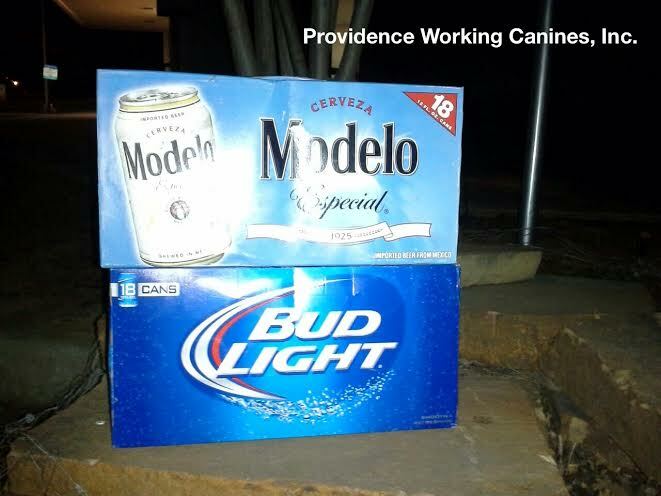 Providence successfully detected CDS (Controlled Dangerous Substance) Distribution on a High School Campus. 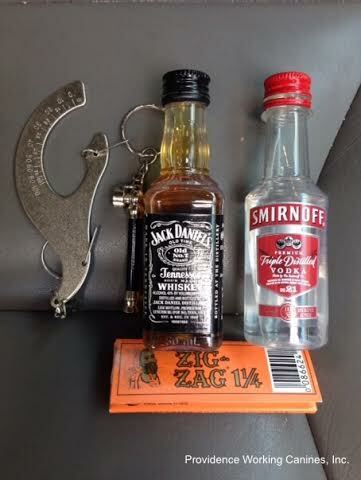 Successfully discovered inside a Student's vehicle while attending the Prom. 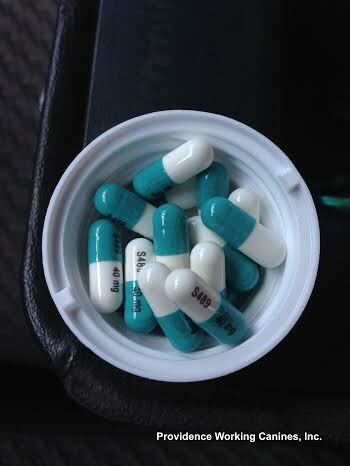 Oxycontin and additional Pain Relievers successfully detected on a High School Campus. 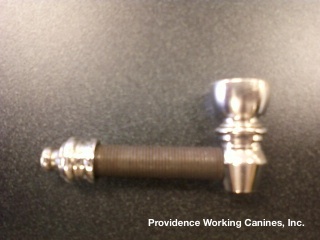 A very impressive aged bolt featuring a removable hex head to conceal contents inside. 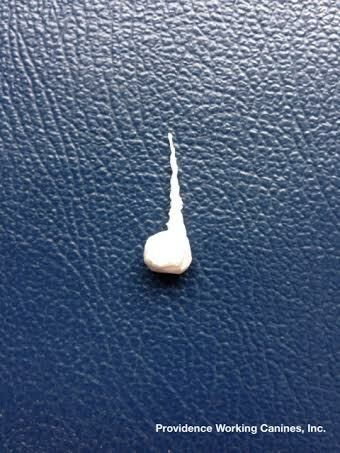 Suboxone successfully discovered inside a High School, following distribution, during the Academic Day. 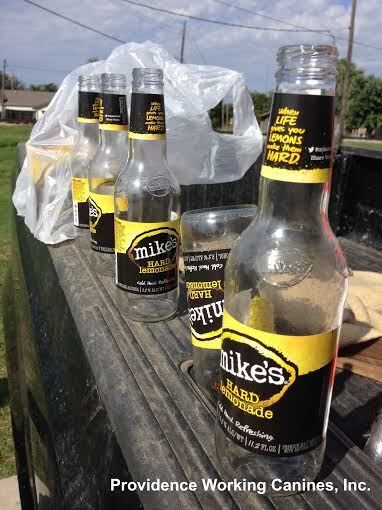 Synthetic Urine discovered with Marijuana inside a Student's vehicle while parked on a High School Campus. This District has a random drug test policy. Successfully discovered along with a primary odor alert on a High School Campus during the Academic Day. Successfully detected inside a Student's vehicle while parked on a High School Campus. 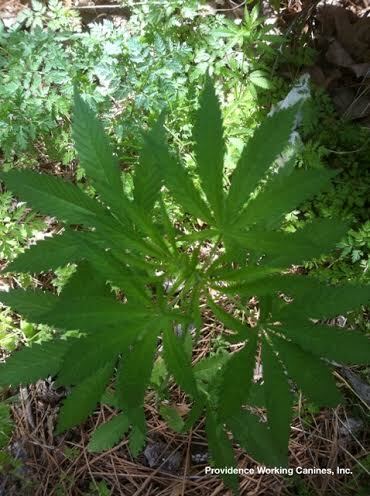 Distribution of Marijuana successfully discovered on a High School Campus. Successfully discovered when the Flask containing Cherry Tequila fell out of the Student's dress while exiting a Limo during the Senior Prom. 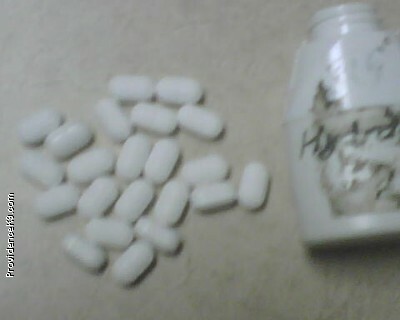 Successfully detected Xanax and Prescription Pain Relievers hidden inside as laundry basket in a Drug Dependency Program. 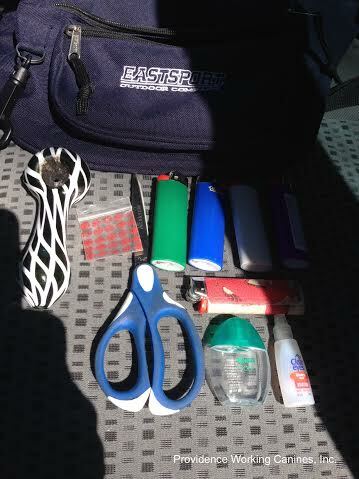 Successfully detected, along with other contraband, inside the trunk of a Student's vehicle while parked on a High School Campus. 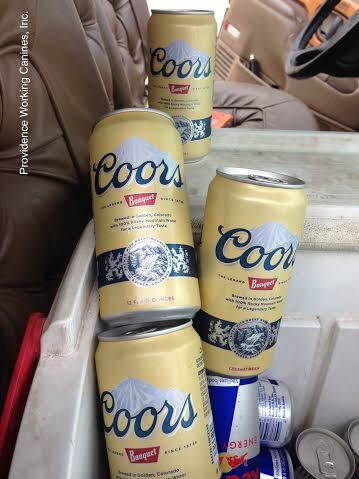 A case of Corona Beer successfully detected inside a vehicle's trunk while parked on a High School Campus. Following successfully detecting contraband in a Student's belongings, these Crushed Bars (Alprazolam/Xanax) was discovered inside the Student's wallet. Successfully detected Seagram's 7 on a High School Campus. 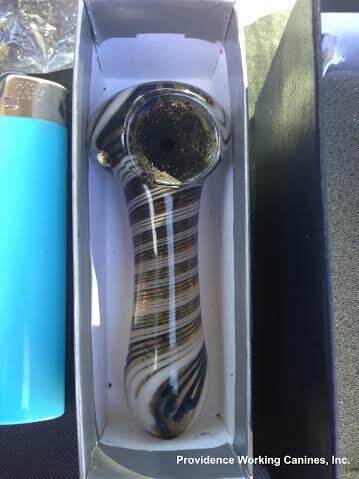 Successfully detected a hidden compartment housing Suboxone Distribution inside a Student's vehicle while parked on a High School Campus during the Academic Day. Student admitted to Doctor Shopping to secure enough product to distribute. 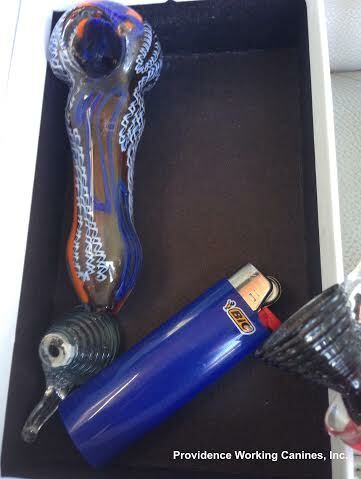 Successfully detected an ornate Marijuana Pipe on a High School Campus. 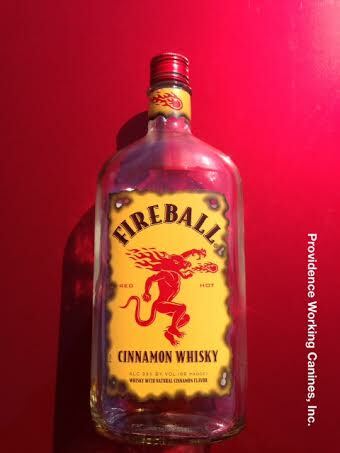 This Airline Rum Bottle was successfully detected inside a Sanitary Napkin Disposal Container in the Ladies Restroom during the Senior Prom. 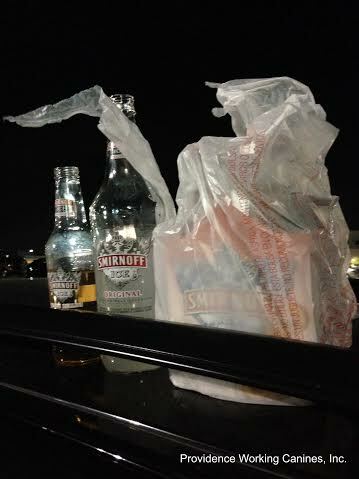 Successfully detected inside the trunk of a Student's vehicle while parked on a High School Campus. 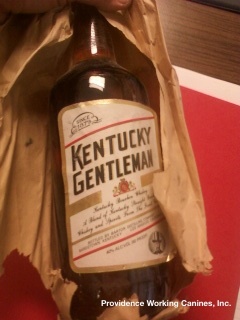 Successfully discovered hidden inside a vehicle parked on a High School Campus. The Student admitted to distribution to High School Students. 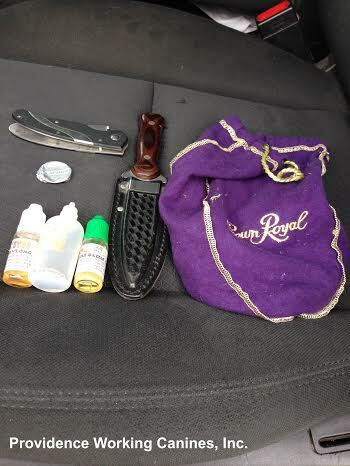 Successfully detected inside a hidden compartment inside a Student's vehicle while parked on a High School Campus during the Academic Day. 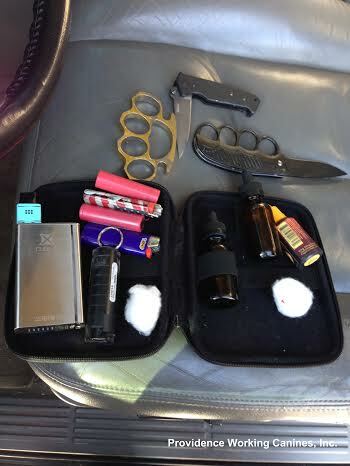 Successfully detected inside a hidden compartment within a Student's vehicle while parked on a High School Campus. Successfully detected in clothing hanging in a closet inside a Drug Rehab Facility. 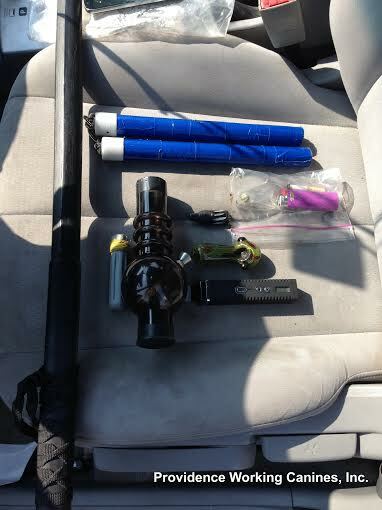 Successfully detected inside a Student's vehicle, along with other contraband, while parked on a High School Campus. 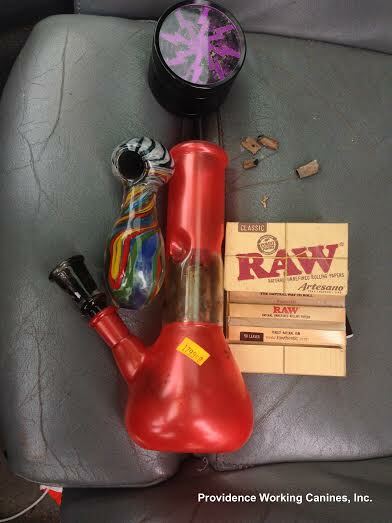 Nitrous Oxide, Marijuana, Pipe, Rolling Machines, and Brass Knuckles successfully discovered inside a Student's vehicle while parked on a High School Campus during the Academic Day. 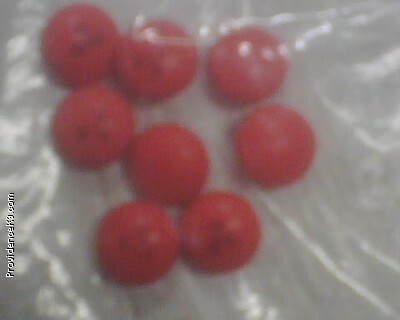 Successfully detected Hydrocodone (Lortab) Distribution on a High School Campus. Successfully detected Marijuana & Blunts hidden in the ceiling above the last stall in an upstairs Men's Restroom on a High School Campus. 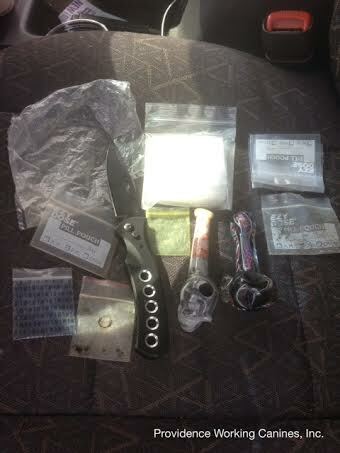 Successfully discovered inside a Student's vehicle while fleeing Administration on a High School Campus. 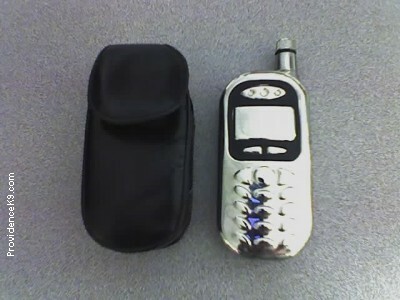 The Stealth Cell Phone contained Rum. 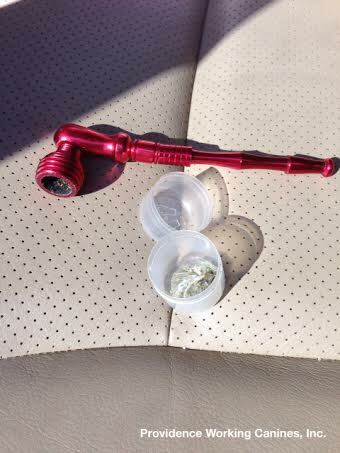 Successfully detected PCP & Marijuana inside a vehicle parked on a High School Campus during the Academic Day. 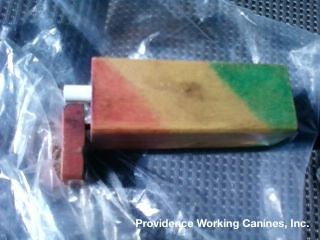 The Students were dipping the Marijuana Blunts in PCP to create Whetsticks. Successfully detected on a High School Campus. Successfully detected inside a Student's vehicle while parked on a High School Campus. Female Students were accustomed to sitting in the vehicle during lunch to ingest more than lunch. Poor choices made during the Lunch Break. 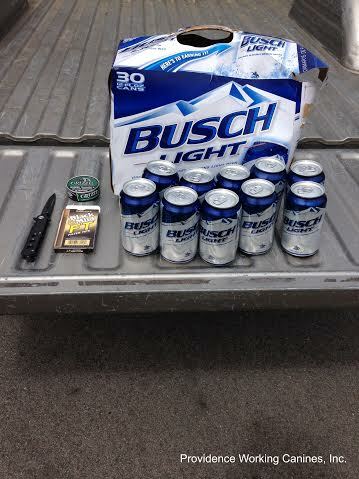 Successfully discovered with additional contraband on a High School Campus during the Academic Day. 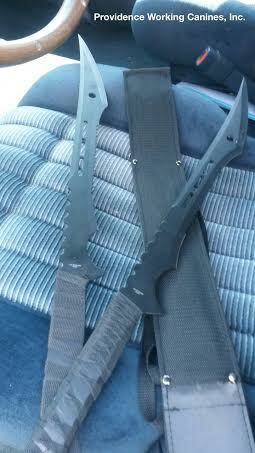 Successfully discovered inside a Student's vehicle while fleeing Administration on a High School Campus. Successfully detected in the ceiling of a Men's Restroom inside a large High School. 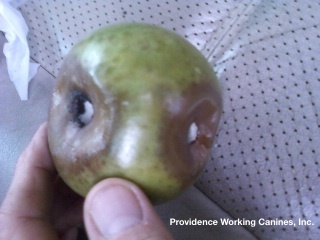 The Student(s) were utilizing the hollowed apple as a filter to mask the odor of ignited Marijuana. 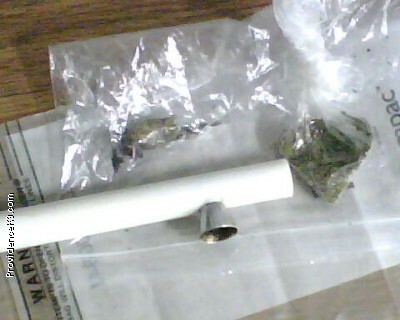 Successfully detected a Marijuana Pipe fashioned in the form of a bracelet to conceal. 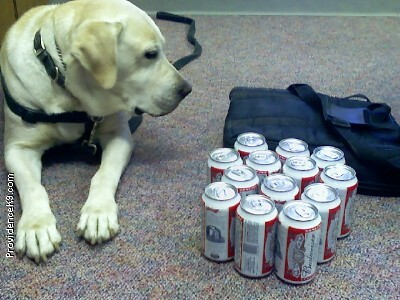 Successfully discovered, along with Prescription Pain Relievers, inside a Detention Facility. 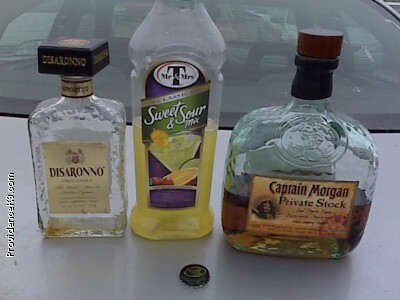 The substitionary urine was obtained in hopes attempting to pass a random drug test. 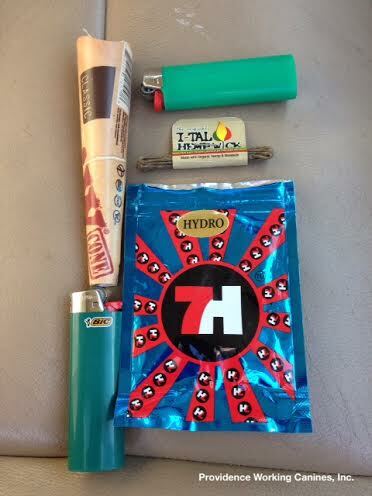 Successfully discovered along with additional contraband on a High School Campus during the Academic Day. 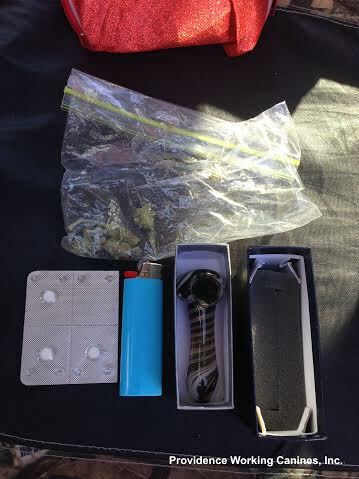 Successfully discovered inside a Student's vehicle, along with other Contraband, while parked on a High School Campus during the Academic Day. Successfully detected inside a Student's vehicle while parked on a High School Campus. 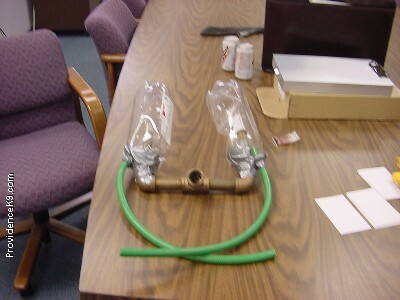 This device was utilized to smoke illicit cannabis. 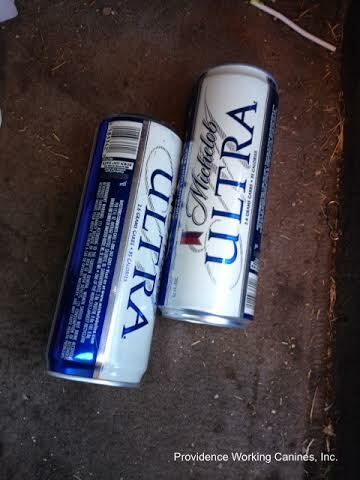 Successfully discovered inside a Storm Cellar during a Safety Sweep on the grounds of a Detention Center. Successfully discovered via due diligence following lunch time marijuana abuse. 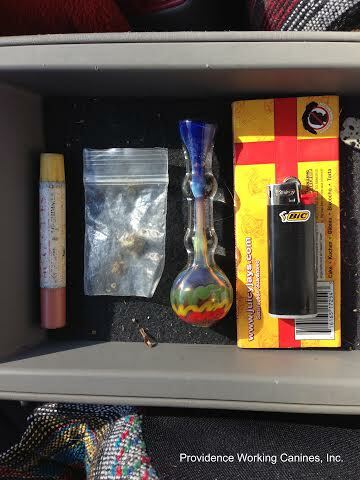 Successfully discovered inside a Student's vehicle while parked on a High School Campus. The vehicle also contained a loaded Semi-Automatic Pistol, a large quantity of Marijuana, Scales, Packaging Material, and Smoking Devices. 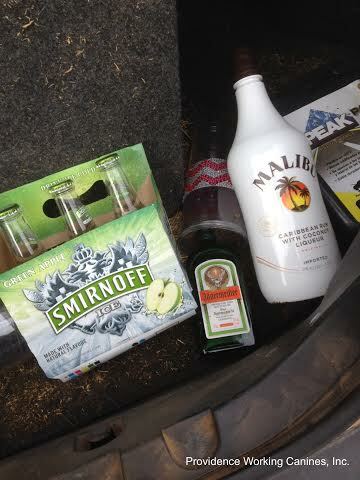 Successfully discovered inside the trunk of a Student's vehicle while parked on a High School Campus. 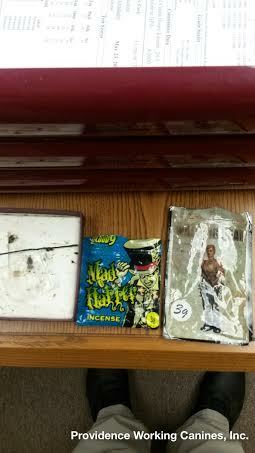 Synthetic Marijuana successfully detected inside a vehicle on a High School Campus. 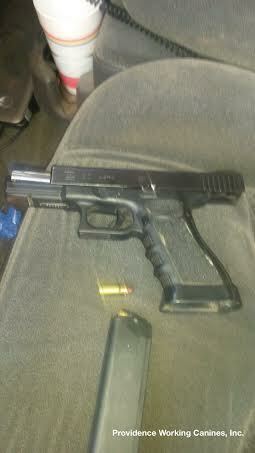 Firearm was successfully discoverd inside a vehicle belonging to a Student dealing marijuana. 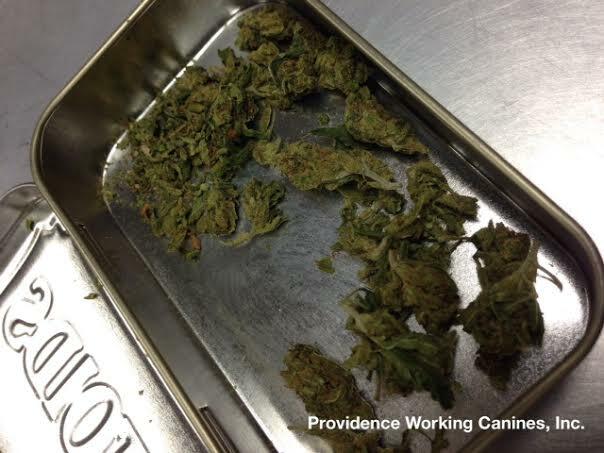 While attempting to mask the odor with pepper and cinnamon, these Marijuana Brownies were successfully detected while hidden in the ceiling of a Men's Restroom on a large High School Campus. 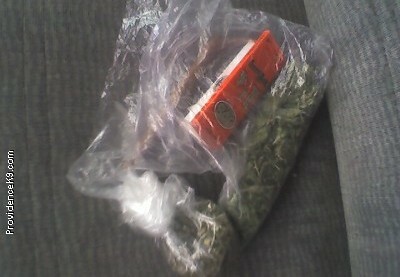 Marijuana successfully detected inside a vehicle on a High School Campus during the Academic Day. Student proclaimed had we not discovered his intentions at 8:40 AM, he would have had five customers by 9 AM. Successfully detected on a High School Campus during the Academic Day. 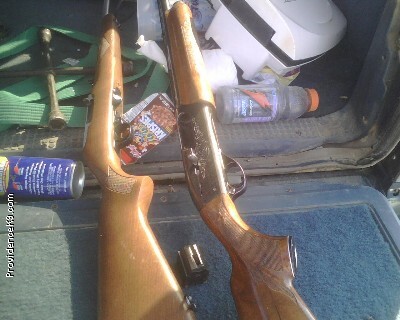 Successfully discovered inside a vehicle on a High School Campus. 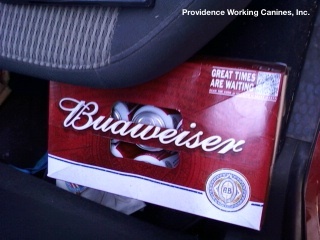 Hidden Case of Budweiser Beer successfully detected inside a vehicle parked on a High School Campus. 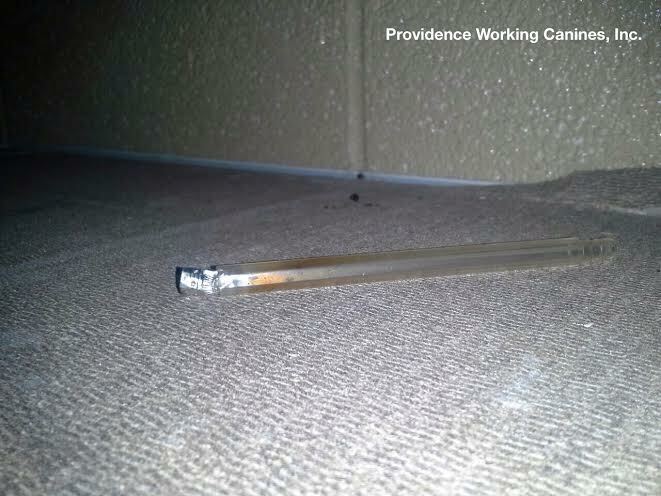 Providence successfully detected a stand of marijuana growing on a High School Campus during the Academic Year. Successfully detected inside a vehicle parked on a High School Campus during the Academic Day. Successfully detected inside a Student's Backpack. 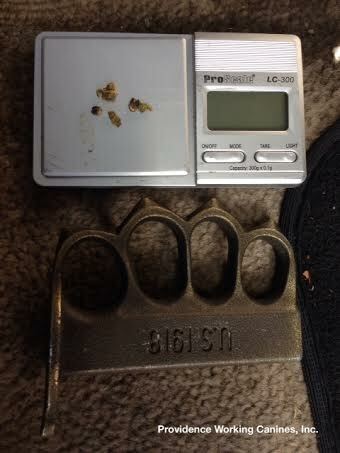 Dealer had sold most of the product, leaving only Shake, Scales, and a Weapon behind. 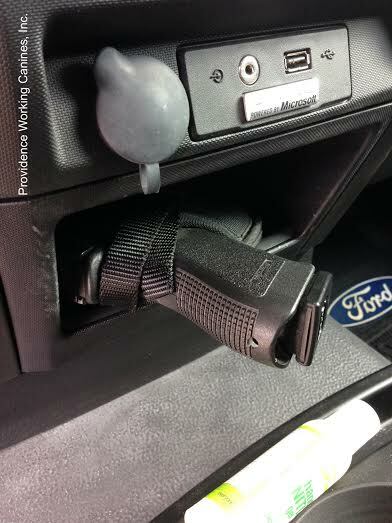 Hidden Pistol successfully detected inside a Student's Vehicle. 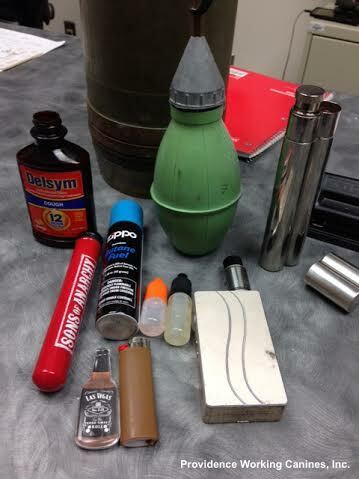 Successfully detected inside a Student's Backpack on a Alternative School Campus. 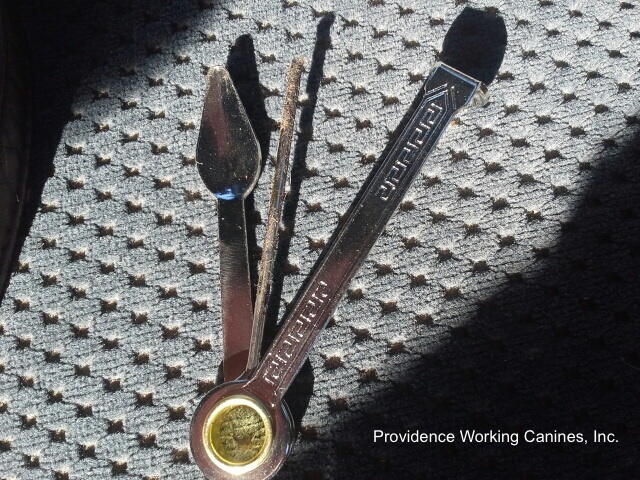 An attempted discard by an Employee in the Oilfield during a Providence Safety Sweep. 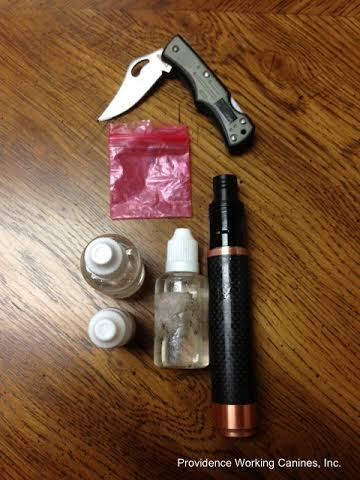 Discovered inside a School Backpack while on Campus of a large High School. Cocaine successfully detected while hidden under a sink in a restroom on a High School Campus. 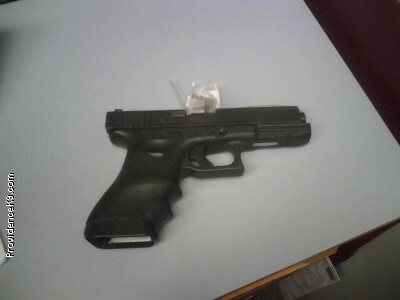 This fully loaded .40 Caliber Glock Model 22 was successfully detected while hidden under the front passenger seat of a vehicle parked on campus. 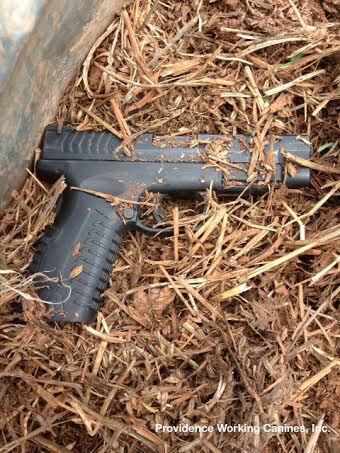 NOTE: The firearm belongs to a large Metropolitan City and is the official duty weapon of one of their own Police Officers who left it unsecured in the presence of High School students. 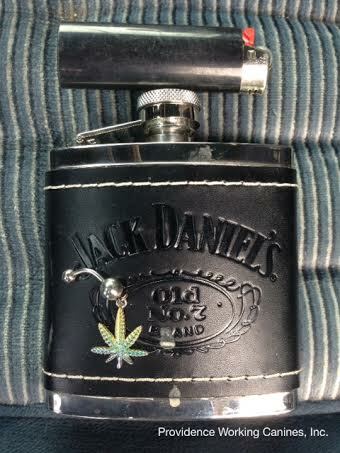 Flask contained Rum. 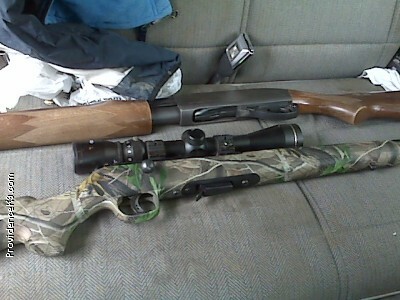 Detected in a vehicle on a High School Campus. 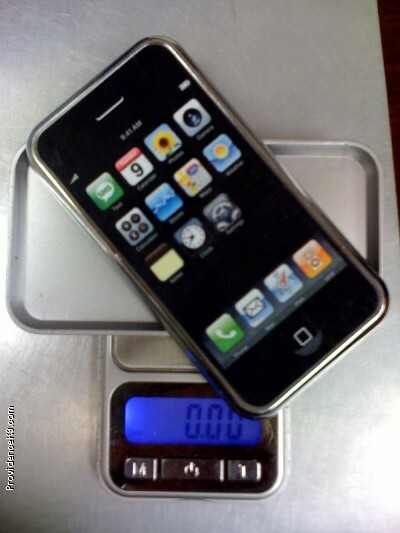 Two years ago, Providence provided our Clients w/ intelligence concerning the reality of iPhone Stealth Digital Scales surfacing among those distributing CDS. 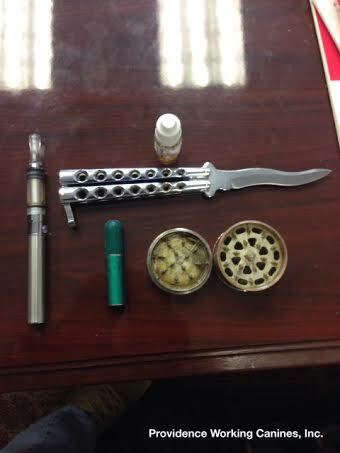 Recently, this working set was successfully detected on the campus of a large 6A District along w/ marijuana. 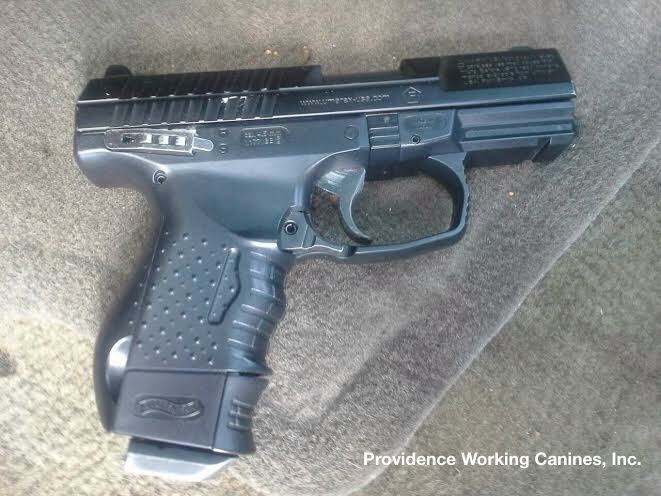 While lying under the Driver's Seat, this loaded Semi-Auto was successfully detected inside a vehicle parked on a High School Campus. 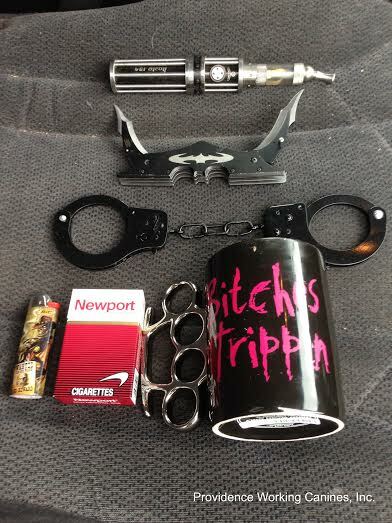 Detected inside a vehicle's trunk on a High School Campus. 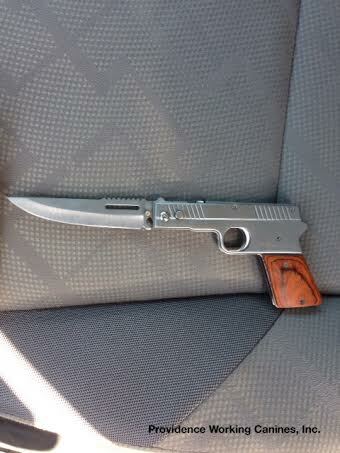 Detected in a vehicle on a High School Campus. 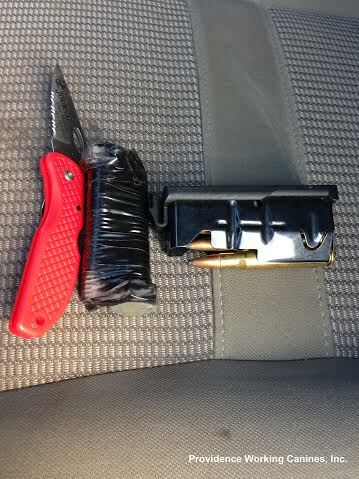 Successfully detected inside a vehicle's closed center console while parked on a Technology Center's Campus. 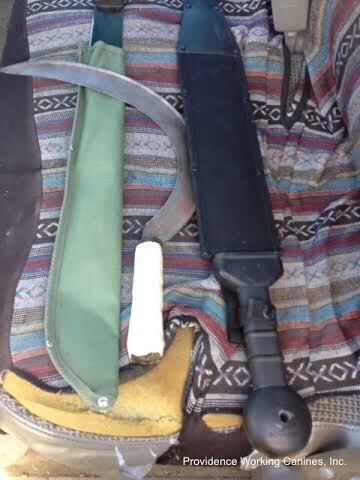 Discovered in a vehicle on a High School Campus following a gunpowder alert. 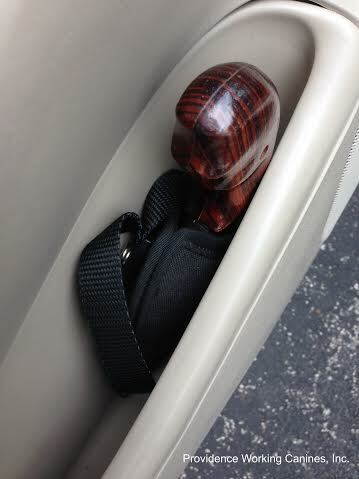 Detected inside a closed center console within a vehicle on a High School Campus. Two Improvised Explosive Devices detected in a vehicle on a High School Campus. Succcessfully detected above a ceiling tile in a Boy's Restroom on a High School Campus. 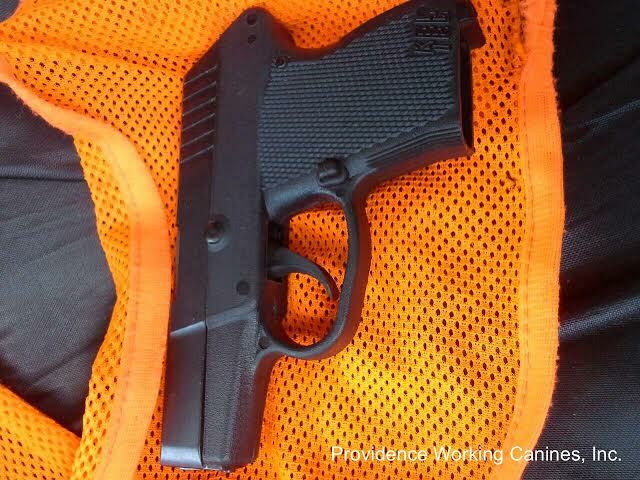 Student's Handgun successfully detected inside a vehicle while parked on a High School Campus. 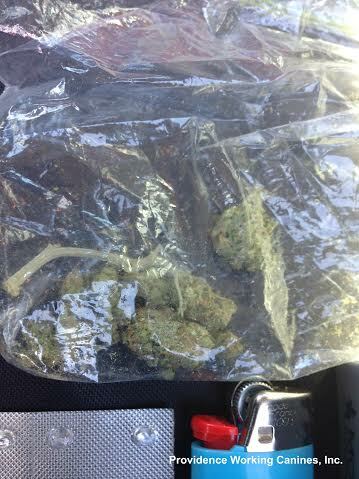 Large quantity of marijuana detected inside a visitor's vehicle on a High School Campus. 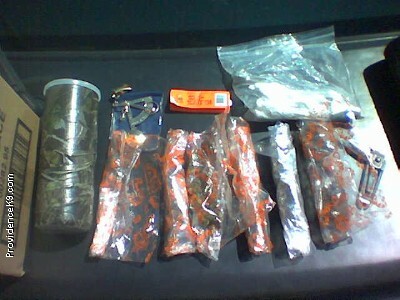 Marijuana detected inside a High School Building. 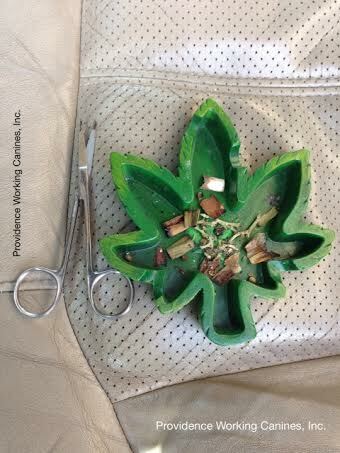 Marijuana and Pipe detected above ceiling tile in Girl's Restroom on a High School Campus. 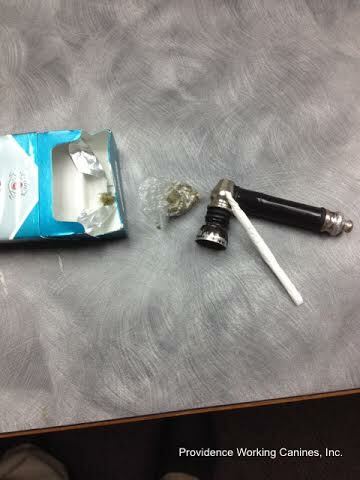 Detected in a vehicle's trunk, with marijuana, on a High School Campus. 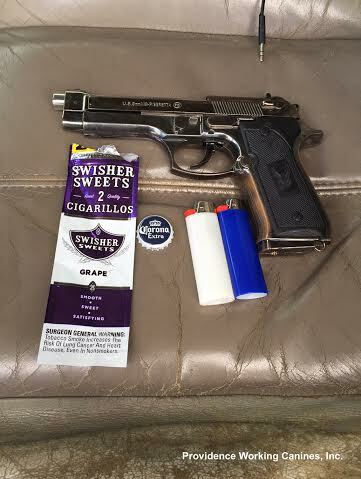 Detected inside a vehicle on a High School Campus. 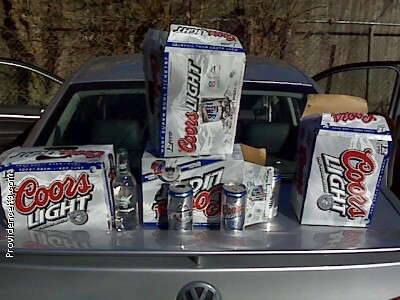 Occupants in rear seat would utilize pass through access to trunk to conceal and retrieve Bottles and Champagne glasses. 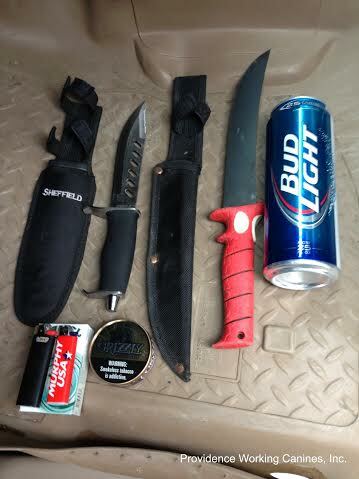 Detected inside a visitor's vehicle on a High School Campus. 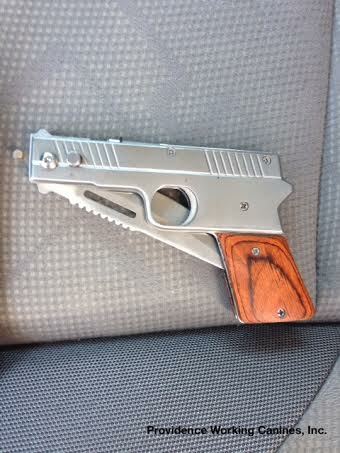 Deteced in a vehicle's trunk on a High School Campus. 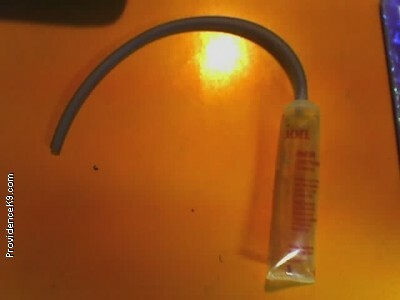 Homemade Urinalysis Kit constructed to deceive a random UA. 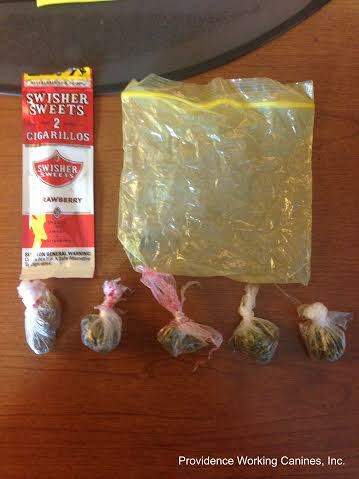 Discovered along with marijuana and alcohol in a Resident's Dorm Room. 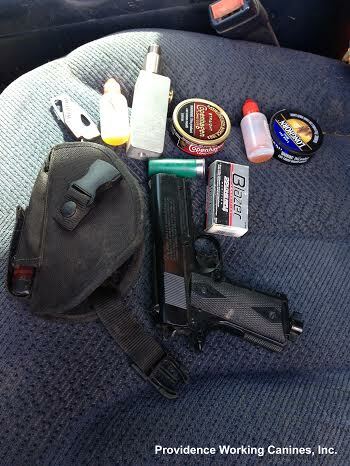 Detected inside a student's vehicle on a High School Campus. 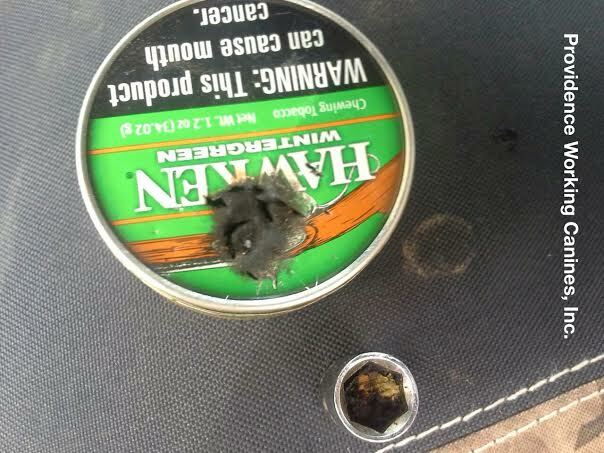 Discovered with marijuana in a vehicle on a High School Campus. 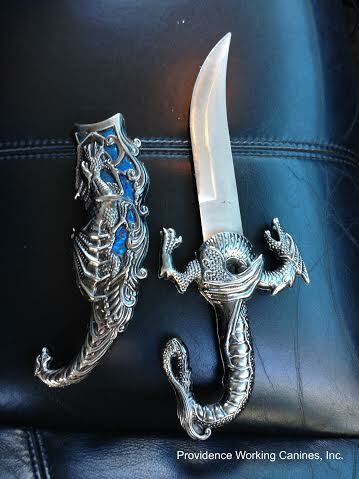 Detected while hidden under clothing inside a student's vehicle on a High School Campus. 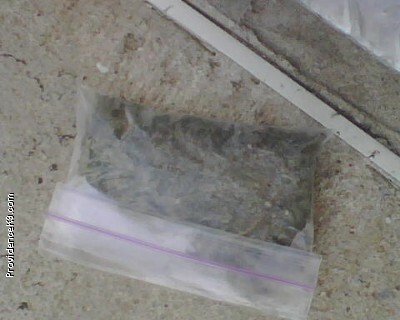 One Half Pound of Marijuana hidden on a High School Campus. 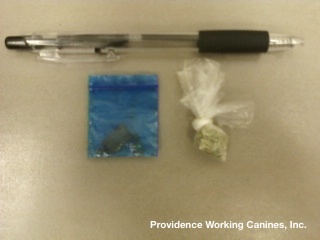 While conducting a Safety Sweep in a High School Restroom, a Providence Working Canine caught odor and crawled under Restroom stalls to alert on the Homemade Marijuana Pipe and CDS hidden among plumbing inside the wall. 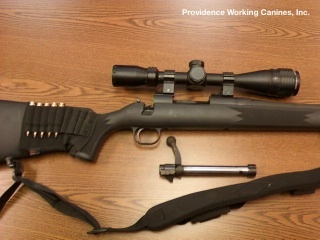 This loaded 12 GA Shotgun and loaded 17 HMR Rifle were detected while completely hidden under scores of clothing on the rear seat of a student's vehicle on a High School Campus. Successfully detected inside a vehicle parked on a High School Campus. 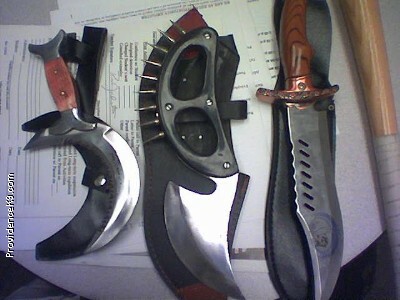 The Combat Knife (Second from the left) contained marijuana and pipe screens inside the handle. 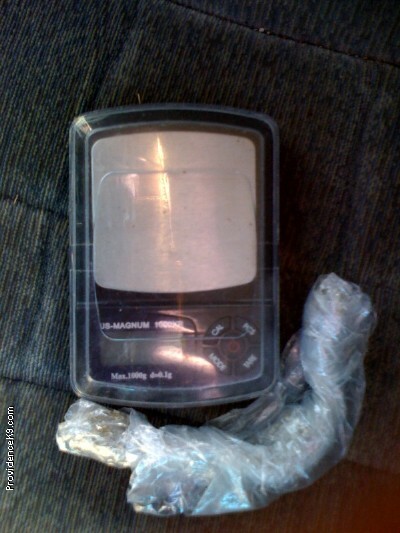 Powder Cocaine detected inside a student's vehicle on a High School Campus. Student volunteered having purchased the Cocaine while at school. 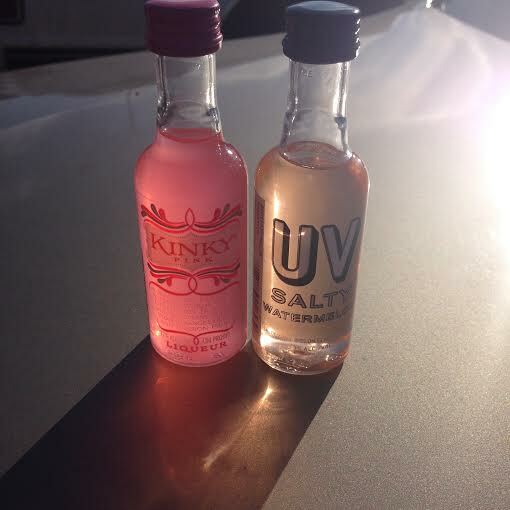 Student was also selling Viagra. 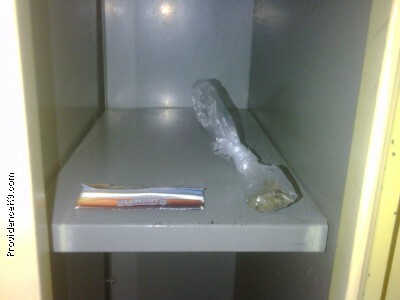 A bag of marijuana, a rolled marijuana joint, and rolling papers were successfully detected and discovered in this locker on a Middle School Campus. Upon leaving the classroom during a Safety Sweep, the student later volunteered that he discarded the CDS into an empty locker. Note: The student was also found w/ photographs of him flashing gang signs and holding a .380 Semi-Auto Handgun two days earlier. 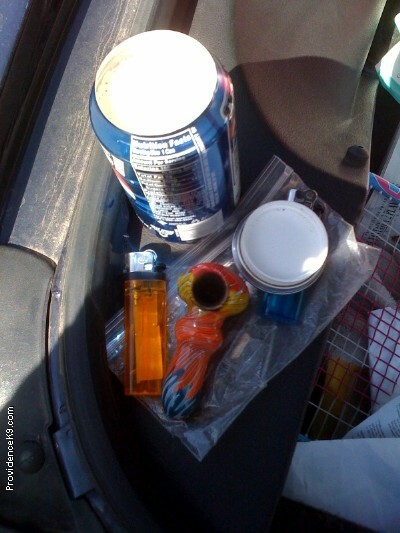 This Pepsi Stash Can, Marijuana, and Paraphernalia, were successfully detected inside a purse within the trunk of a vehicle located on a High School Campus. 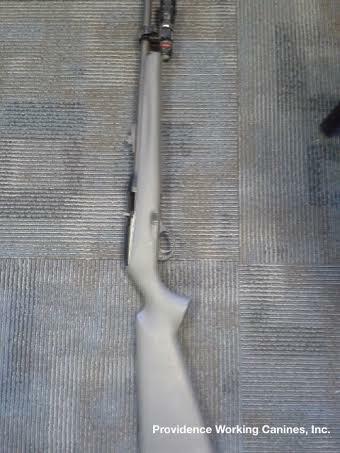 (1) Ruger .22 Caliber Rifle and (1) Remington Model 1100 12 GA Shotgun were successfully detected on a High School Campus. 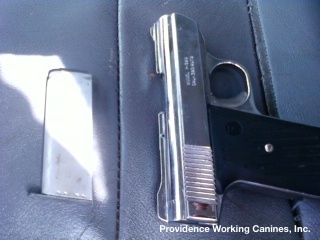 Ammunition for both firearms was discovered inside the center console. Right Season, wrong place. 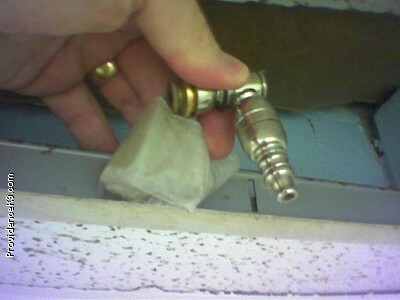 Dextromethorphan (DXM) or Skittles successfully detected, while contained inside a small ziplock bag, located in a High School's Men's Locker Room Shower where pipes enter ceiling. Successfully detected inside a vehicle on a High School Campus. 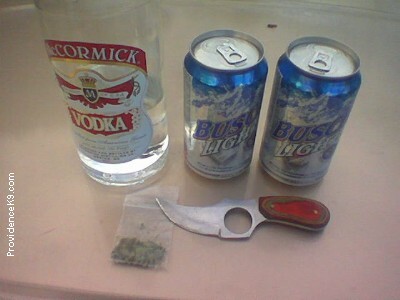 Powder Cocaine, Marijuana, Two Pipes, Rum, Dextromethorphan Abuse, Tobacco, a Knife, and Fireworks were among the contraband. 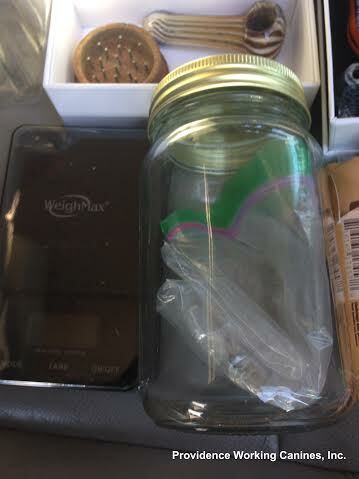 Note: Student was using the displayed syringe and spoon to inject the Cocaine. 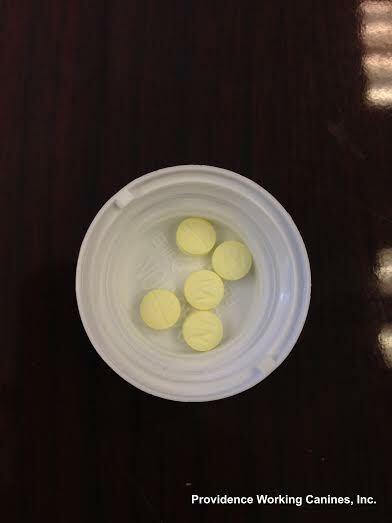 Hydrocodone (Lortab) w/ intent to distribute successfully discovered on a High School Campus. Successfully detected inside a vehicle while parked on a High School Campus. 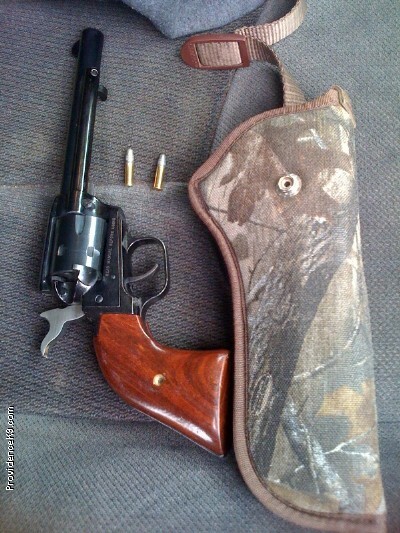 The Student volunteered that the small Pistol was placed inside the leather bag and worn around the neck while hunting. 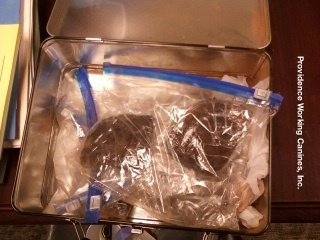 Successfully detected inside a closed glove box on a High School Campus. 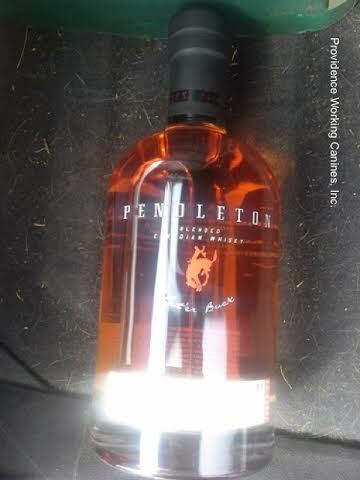 Successfully detected inside a vehicle parked on a Technology Center's Campus. 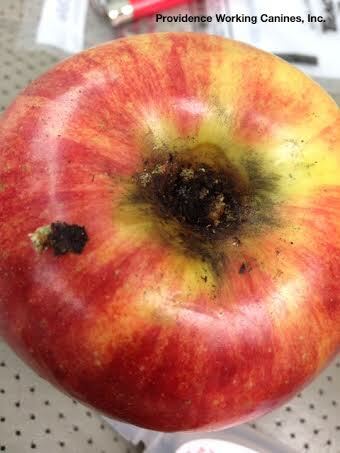 Marijuana smoked through an Apple utilized as an odor filter. Successfully detected inside a Student's vehicle while parked on a High School Campus. 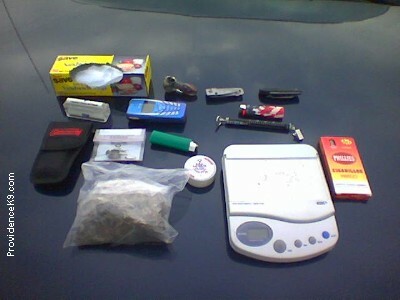 Successfully discovered, along with other Contraband, inside a Student's vehicle while parked on a High School Campus. 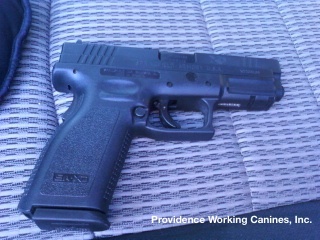 Successfully detected, along with the odor of Gun Powder, inside a Student's vehicle while parked on a Technology School Campus. 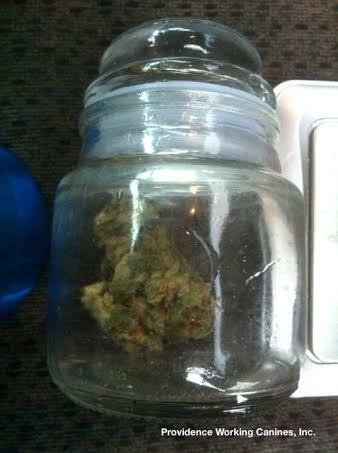 Successfully discovered, along with Rx Zoloft, inside a Student's vehicle while parked on a High School Campus. 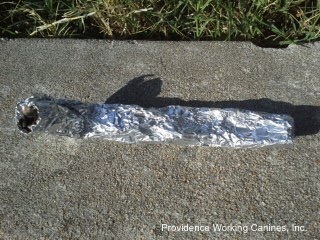 While conducting a Safety Sweep inside a large School Bus, a Providence Working Canine successfully detected this Popper lying under the bench seat nearly half way down the length of the Bus against the exterior wall. The dog then backed out from under the seat to the center aisle to effectively final. 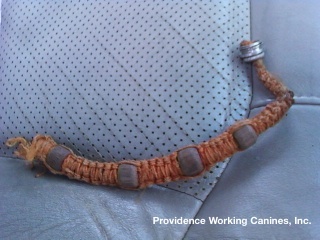 Great dog work! 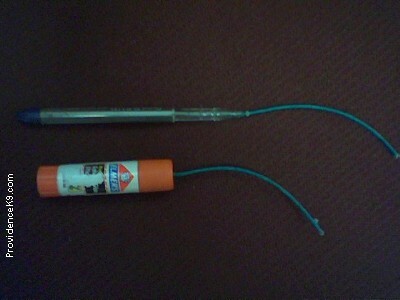 Upon examining the item, it detonated with a flash and a pop in the Handler's hand! 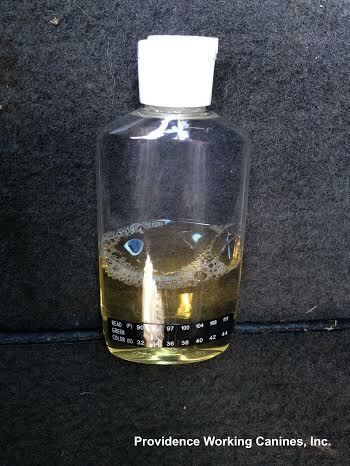 Vodka disguised inside a Water Bottle successfully detected inside a Student's vehicle while parked on a High School Campus. 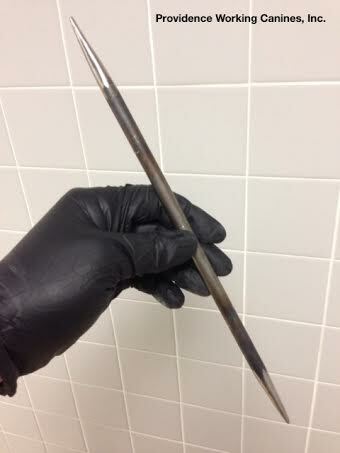 This double pointed, hand forged, Shank was successfully discovered hidden in the ceiling in a Men's Restroom inside a large High School. 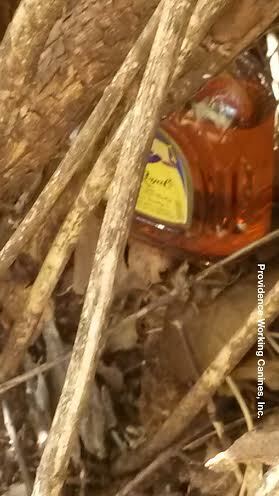 This opened bottle of Crown Royal was successfully detected while hidden in bushes just outside the front entrance of an occupied Middle School during the Academic Day. Successfully detected while hidden in the ceiling of a Men's IP Restroom of a large High School during the Academic Day. Successfully detected on District Property during the Academic Day. 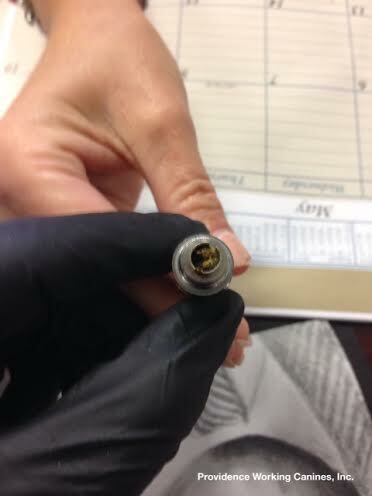 The Apple Filter Pipe is used to smoke Marijuana through while attempting to filter the odor. 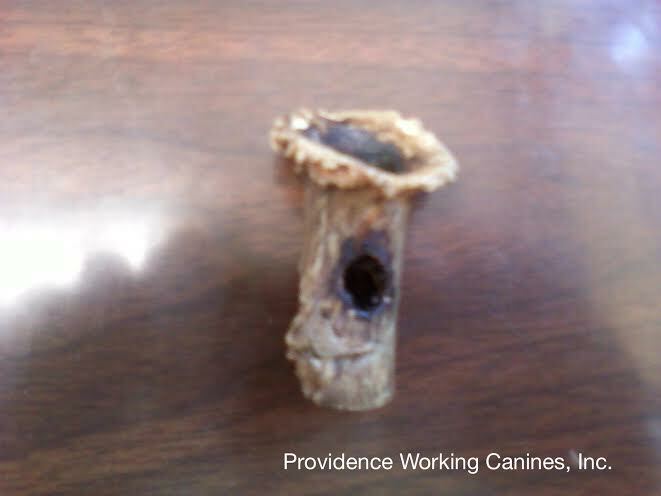 This was the third Apple Filter Pipe detected within this District during the Academic Year. 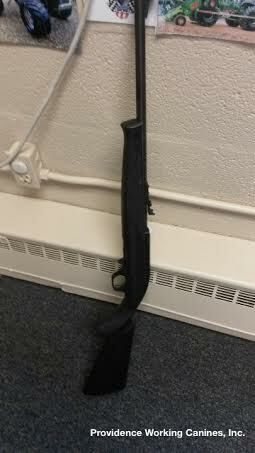 This Walther Replica was successfully discovered under the Driver's Seat of a Student's vehicle parked on a High School Campus during the Academic Day. The Student volunteered that his vehicle had been recently carjacked at gunpoint and taken for a joy ride while Marijuana was smoked inside the vehicle when stolen. 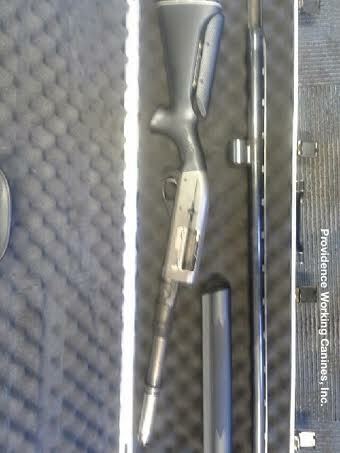 He further volunteered that he placed the weapon in the vehicle for protection. 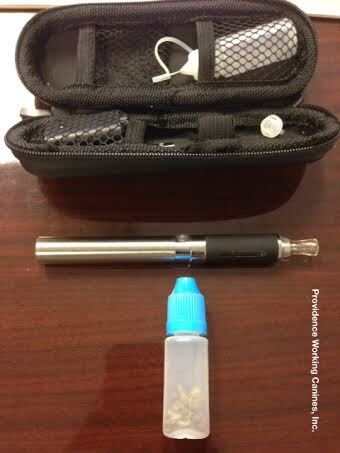 Following a Certified Alert, it was learned Students were smoking this Marijuana E-Cigarette on a High School Bus en route to Campus. 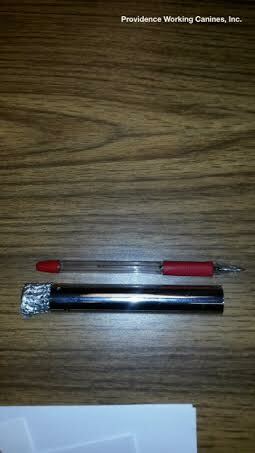 Following a Certified Alert, it was learned a Student was placing Marijuana on top of the E-Cigarette coil to ignite. 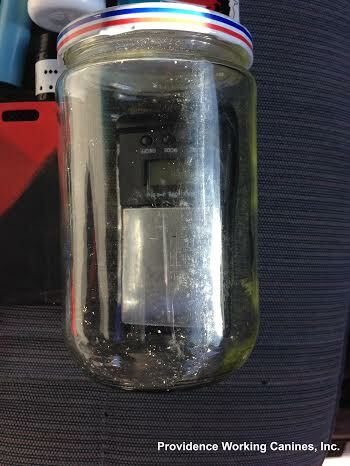 Following a Certified Alert, it was learned a Student stored Marijuana in this vial to later place on top of the coil of the E-Cigarette. 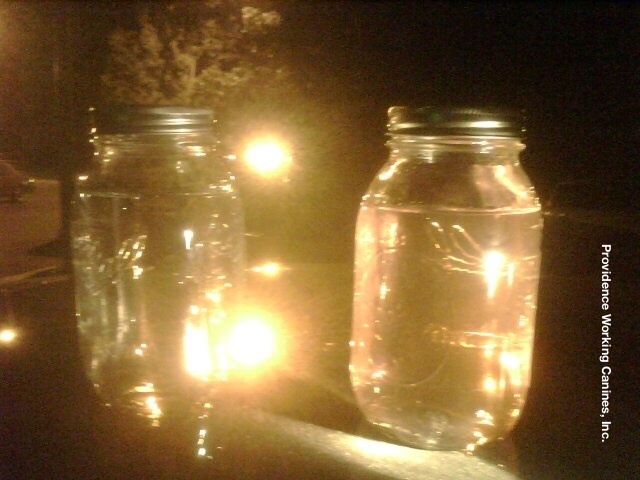 Successfully discovered during a High School Prom. 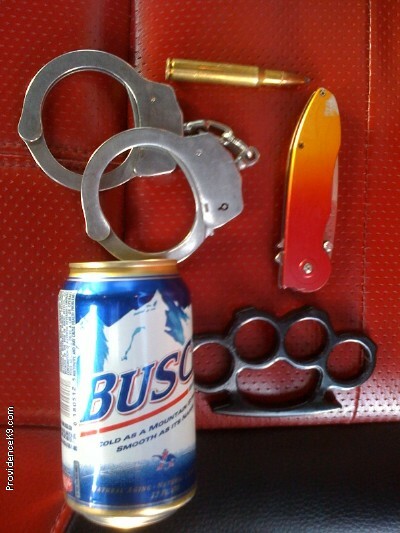 Successfully detected inside a Student's vehicle while parked on a Technology School Campus. Successfully detected containing residue inside of a Student's vehicle while parked on a High School Campus. 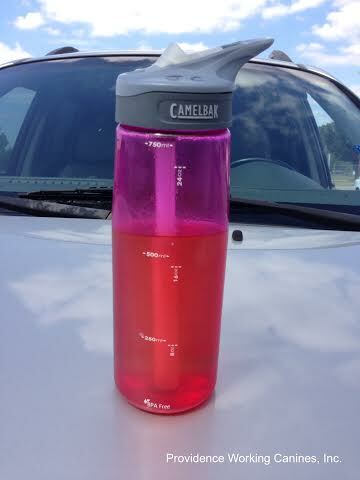 Grapefruit Vodka successfully detected while hidden in a Water Bottle inside a vehicle on a High School Campus. 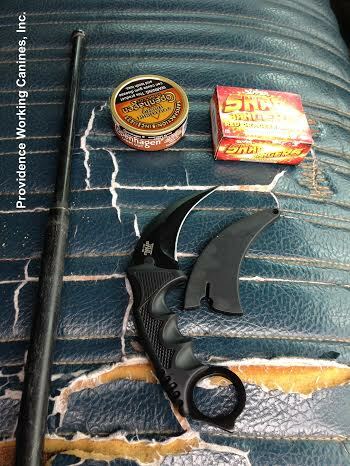 Successfully detected, along with other Contraband, inside a Student's vehicle while parked on a High School Campus. 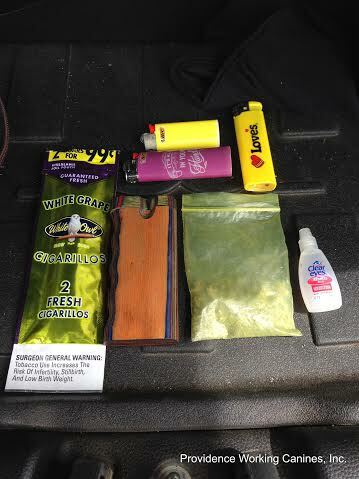 Successfully detected inside a Student's purse while on a High School Campus. Successfully detected containing Marijuana inside a concrete draining pipe on a High School Campus. 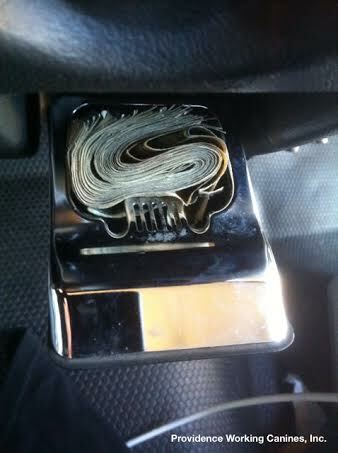 Successfully detected inside a Student's vehicle while parked on a Technology School's Campus. 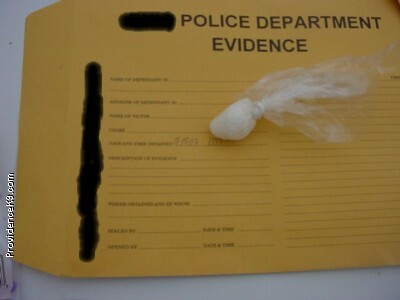 While hidden among Niacin, this Crystal Methamphetamine (ICE) was successfully detected in the ceiling of a Men's Restroom in an Alternative Education Program. 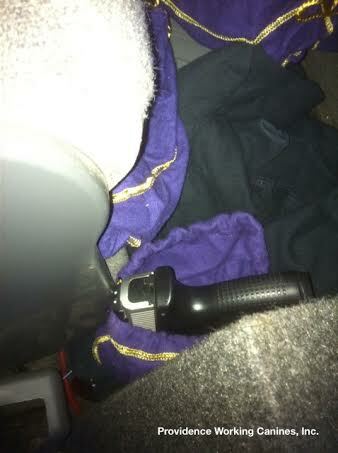 Successfully detected inside a Student Vehicle's trunk while parked on a High School Campus. 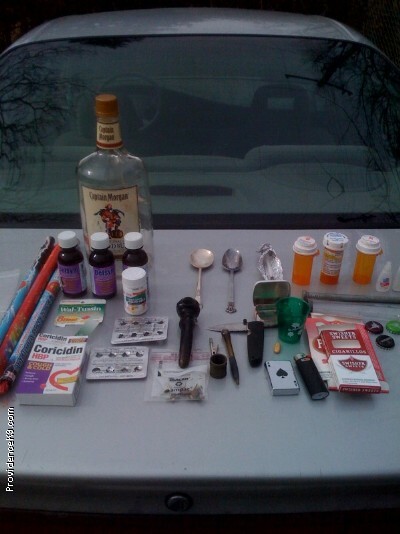 Successfully detected inside a Student's vehicle, accompanied by Pain Relievers, while parked on a High School Campus during the Academic Day. 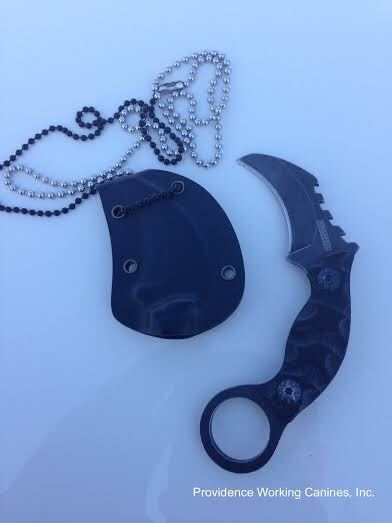 Student was wearing this Tactical Necklace around his neck while inside an occupied High School. 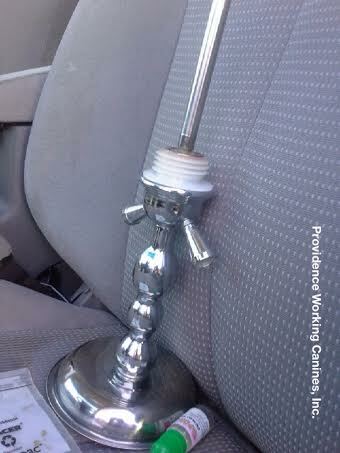 The item was discovered during a Certified Alert of the Student's Vehicle. 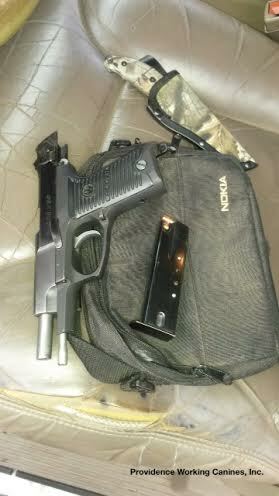 Successfully detected inside a Student's vehicle while parked on a Technology School Campus during the Academic Day. 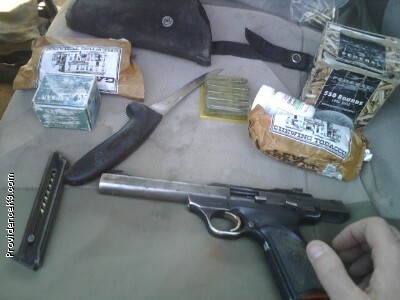 Successfully detected inside a Student's vehicle while parked on a Technology Center's Campus during the Academic Day. 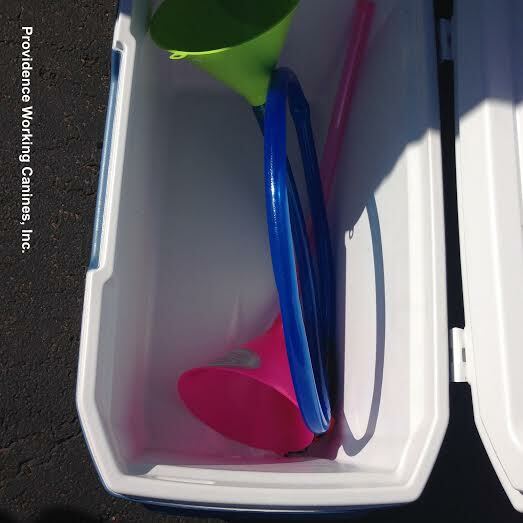 Successfully detected inside a Student's vehicle, iced down in a cooler, while parked on a Technology Center's Campus during the Academic Day. 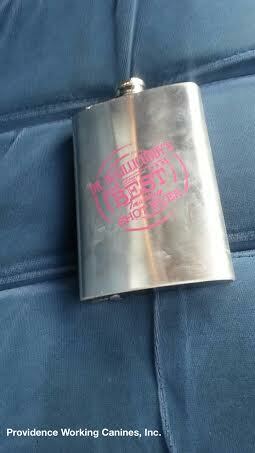 Successfully discovered inside a Student's vehicle, during Prom, while parked on a High School Campus. Successfully detected inside a vehicle while parked on a Technolog School Campus during the Academic Day. 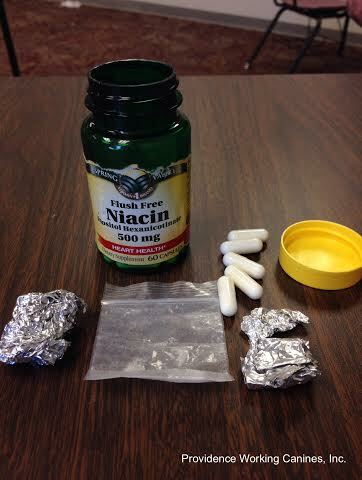 Illicit Rx (Clonazepam) distributed for profit on an Alternative School Campus during the Academic Day. 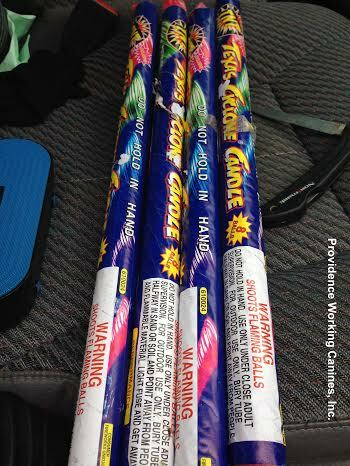 Fireworks successfully detected inside a vehicle while parked on an Alternative School Campus. 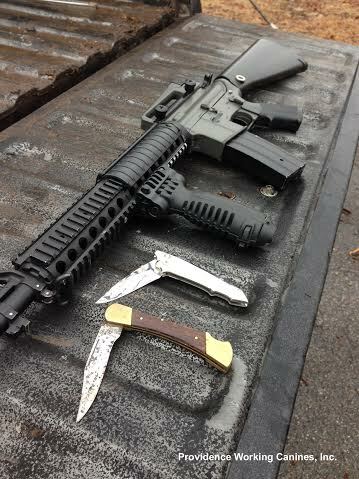 The Student claimed the Collapsible Baton and Tactical Knife were permitted on an occupied Campus due to his employment as a Security Guard. 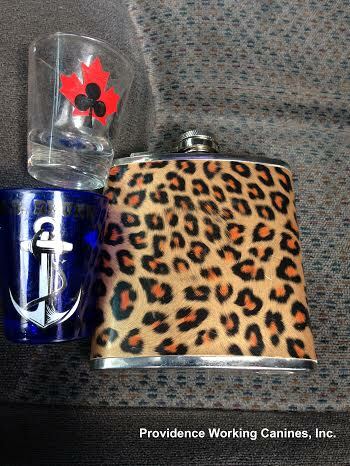 This Leopard Flask, containing Bourbon, was successfully detected inside a Student's vehicle while parked on a High School Campus. 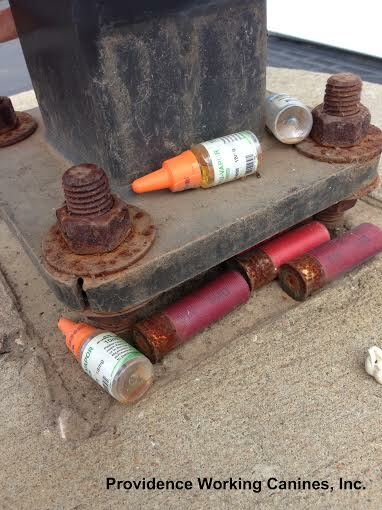 Ammunition and Nicotine Vapor Liquid successfully detected while hidden under the sliding base cover of a Parking Lot Light Pole located on a large High School Campus. 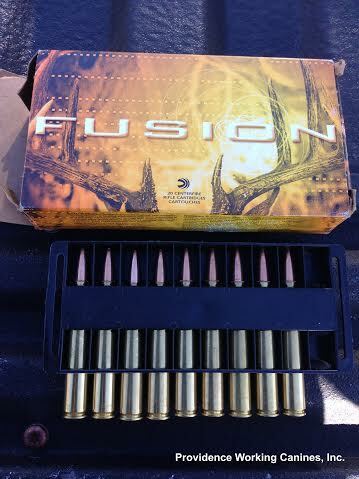 One would wonder for what purpose was the Ammunition hidden? 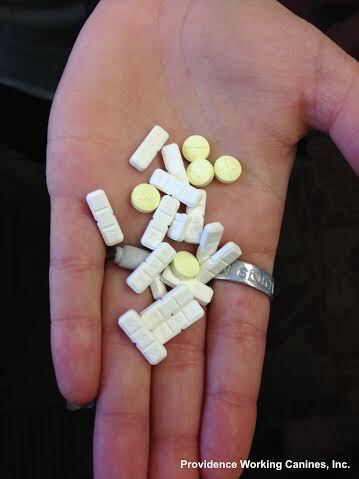 This Student admitted to distributing for profit these Rx Pills (Alprazolam & Clonazepam) to fellow Students on an Alternative School Campus during the Academic Day. 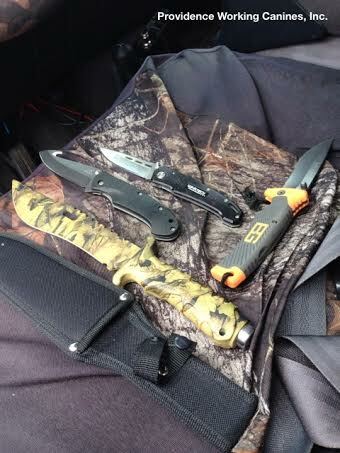 Successfully detected inside a Student's vehicle while parked on an occupied High School Campus. 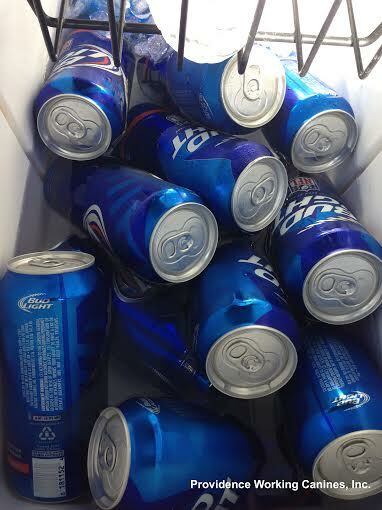 Successfully detected this collection of iced down Bud Light inside a Student's vehicle while parked on a Technology School Campus during the Academic Day. 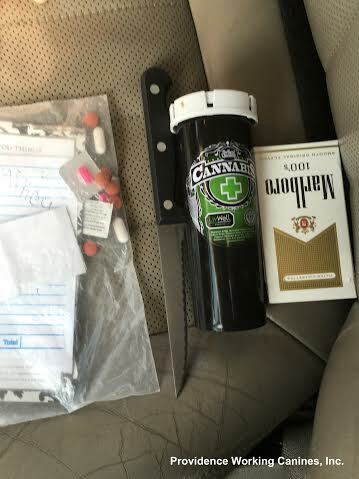 Successfully detected undeclared Rx Vyvanse inside the closed center console of a Student's vehicle while parked on a Technology Center Campus during the Academic Day. 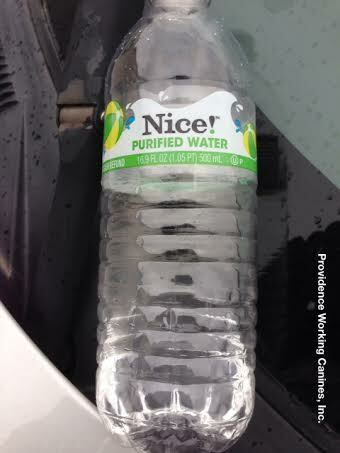 Successfully detected inside a Student's vehicle while parked on a Technology Center Campus. 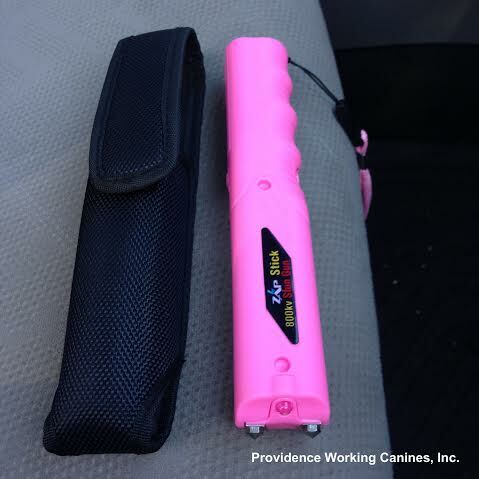 This Ladies Stun Gun was discovered inside a Student's vehicle while parked on a High School Campus. Successfully detected inside a Student's vehicle while parked on a High School Campus during the Academic Day. The Student was commended for not having the matching Firearm on Campus. 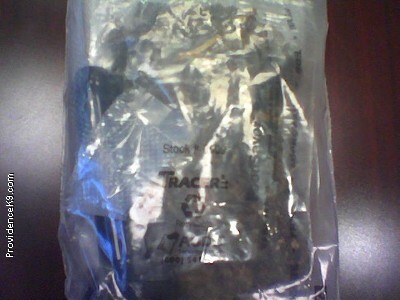 This Metal Stealth Cigarette, containing Marijuana, was successfully detected inside a Student's Backpack on a High School Campus during the Academic Day. 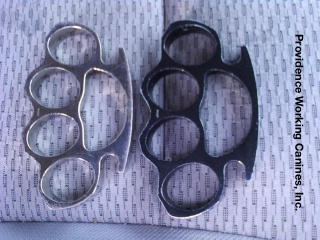 This Student had taped metal objects together to form a Fist Punch to serve as an Offensive/Defensive Weapon along with a Live Rifle Magazine and Knife. 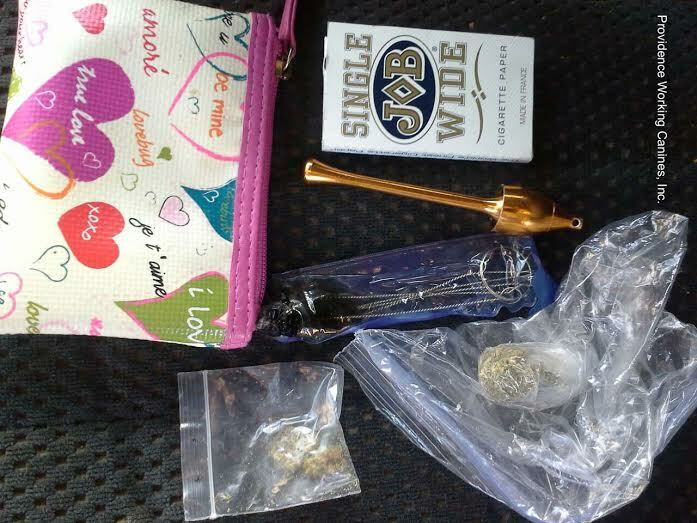 Successfully detected inside a Student's vehicle while parked on a High School Campus. 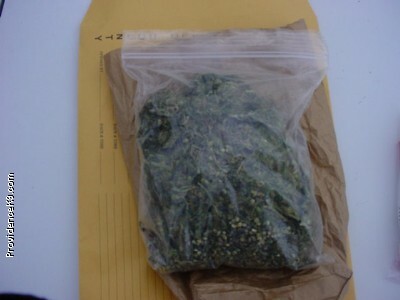 These illegal Marijuana Buds were successfully detected on a High School Campus prior to an attempt to distribute. Successfully detected inside a Student's vehicle while parked on a Private School Campus. 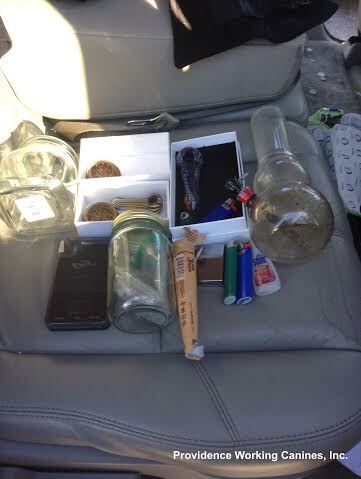 Successfully discovered inside a Student's vehicle, along with Marijuana, while parked on a High School Campus. 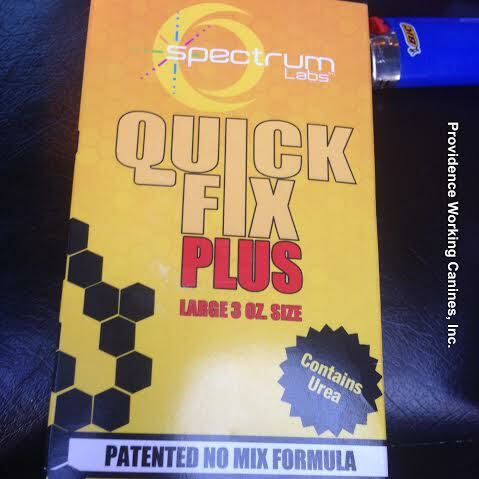 This was this Athlete's attempt to deceive an upcoming Random Drug Test. 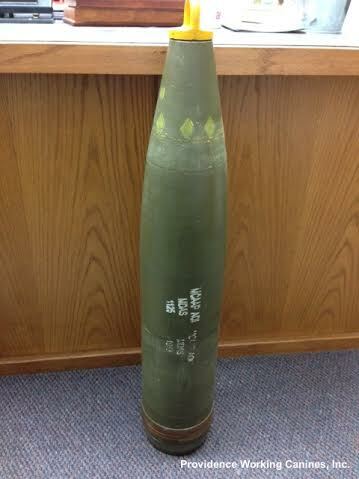 Imagine the surprise of the Handler and Administration upon discovering this Howitzer Artillery Round (Inert) hidden under clothing and lying inside the trunk of a simple Honda Accord while parked on a Technology Center's Campus! 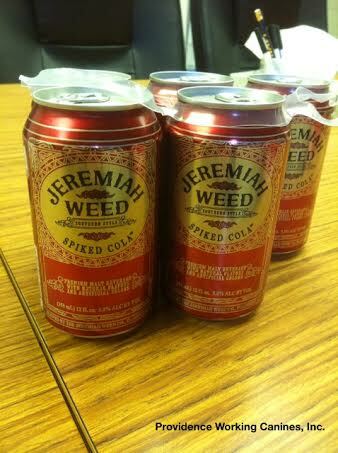 NOTE: The Student was also in possession of Marijuana, Jim Beam Whiskey, Tobacco, and Dextromethorphan within the vehicle's interior. 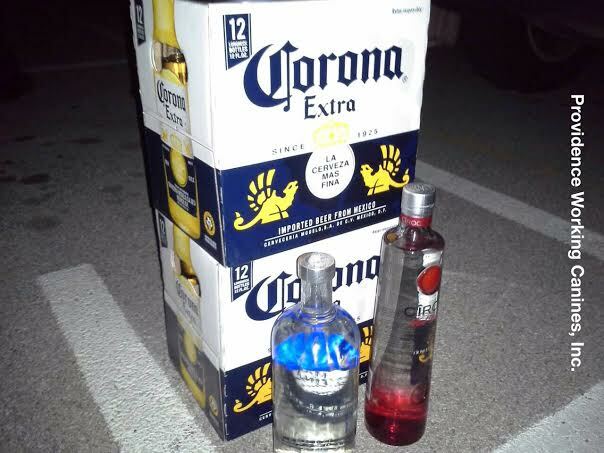 This sundry collection of crimes consisted of Whiskey, Marijuana, Vapor Device, Tobacco, Robo-Tripping, and Military Ordnance - all successfully detected inside a vehicle parked on a Technology Center's Campus. Is the AR (Assault Rifle) real or a replica? 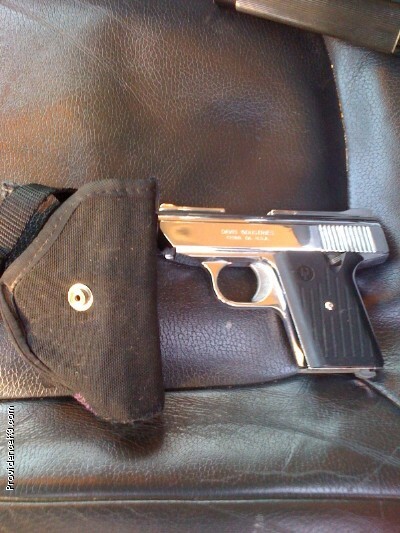 This Metal & Polymer Air Soft Replica was successfully discovered on a Technology Center's Campus, while hidden under clothing and lying on the rear floorboard of a 4x4 Truck. 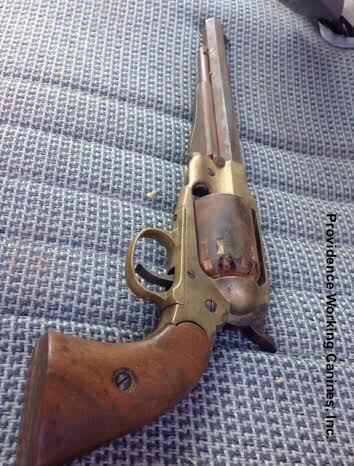 The Weapon was accompanied by the odor of Gunpowder. Student's lives have been lost when brandishing this apparent less lethal, projectile firing, Weapon when aimed at Law Enforcement in an offensive stance. 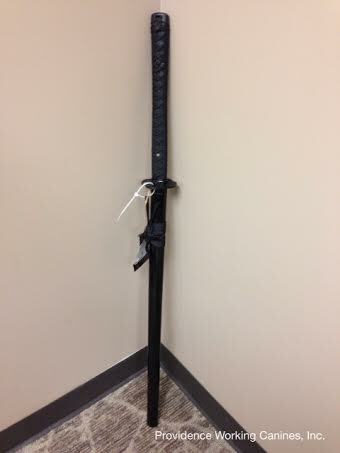 This Weapon is considered unlawful in most States when possessed on School Property. 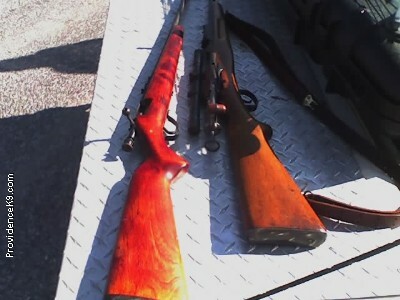 NOTE: An emerging trend is developing where Gang Members are painting the muzzles of actual live Firearms a blaze orange color to deceive Law Enforcement to think the Weapon is actually an Air Soft Rifle and/or Pistol, when it is, in reality, a lethal Firearm. This 3/4 Full 32 oz. 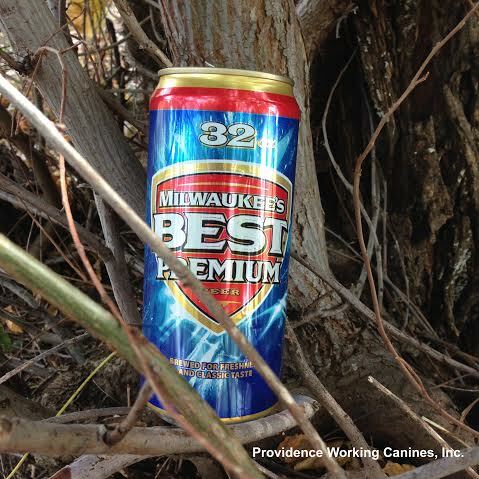 Beer was hidden in a bush just off the Parking Lot of a large 6A High School Campus. The item was successfully detected during a Perimeter Safety Sweep. 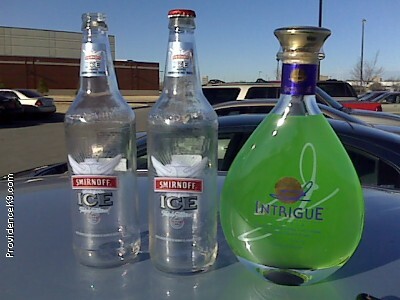 Students hoping to consume the Alcohol during the Academic Day were disappointed to find it missing. 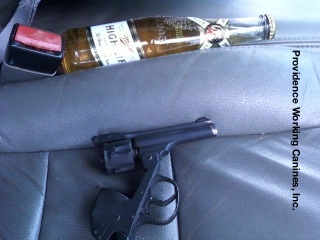 Successfully discovered inside a Student's vehicle while parked on a Private School Campus. 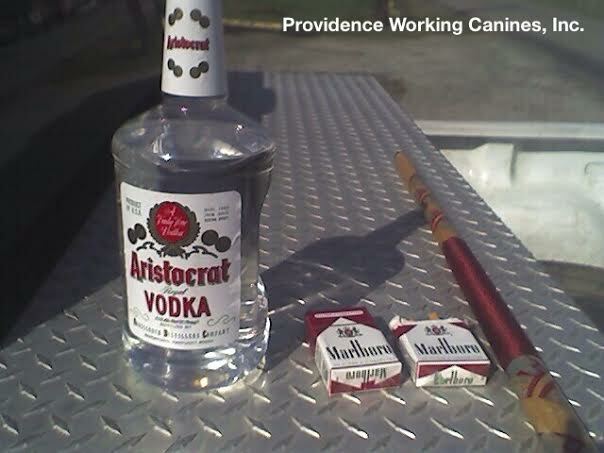 This supply of prohibited Roman Candles were successfully detected inside a Student's vehicle while parked on a Technology School Campus. 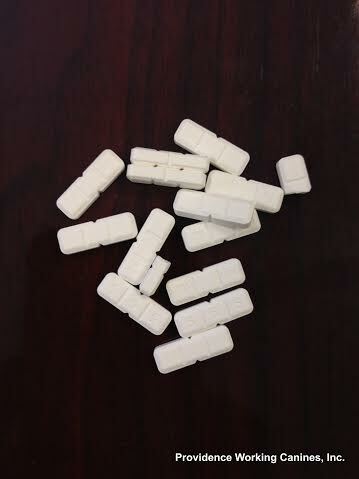 Z-Bars or Xanax (Alprazolam) distributed on an Alternative School Campus during the Academic Day. 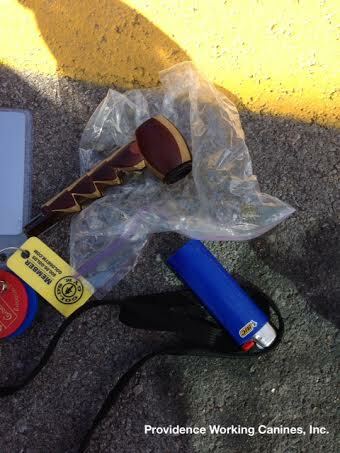 Successfully detected inside a Student's Backpack on a High School Campus. Successfully detected inside a Student's vehicle while parked on a High School Campus. NOTE: Such realistic weapons, when exposed to Law Enforcement, are sometimes met with a lethal response. 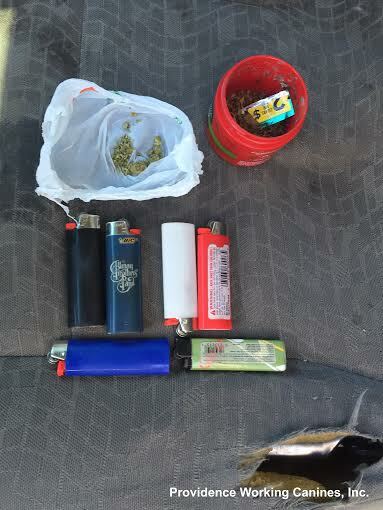 Successfully detected inside a Student's vehicle while parked on an Alternative School Campus. 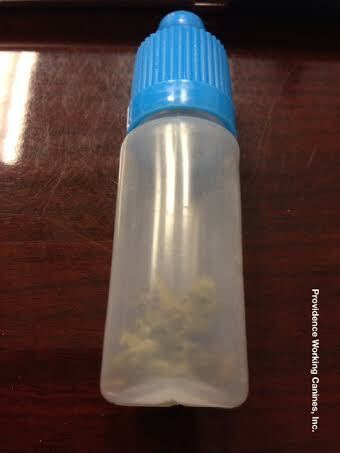 This Marijuana Rx was successfully detected inside a Student's vehicle while parked on a High School Campus following the Student's attempt to elude Campus Police. This High School Student believed that by inserting Bounce Fabric Softener Sheets into the Air Conditioner Vents that this would mask any odor of Illicit Substances present inside the vehicle. 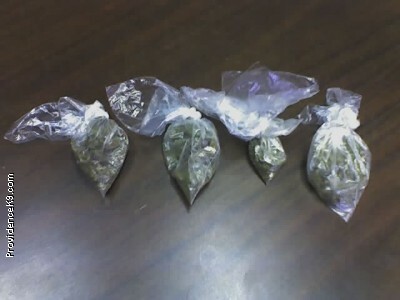 Both Marijuana and Drug Paraphernalia were successfully detected while packed inside three Makeup Bags inserted one into the other. 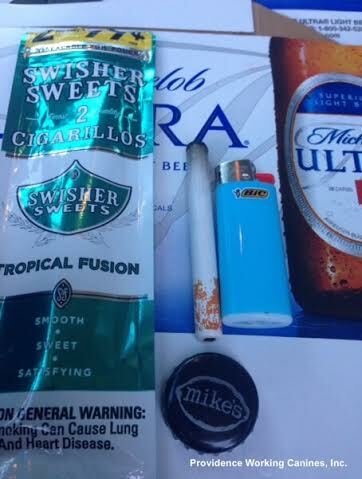 These illicit choices were successfully detected inside a Student's vehicle while parked on a High School Campus. 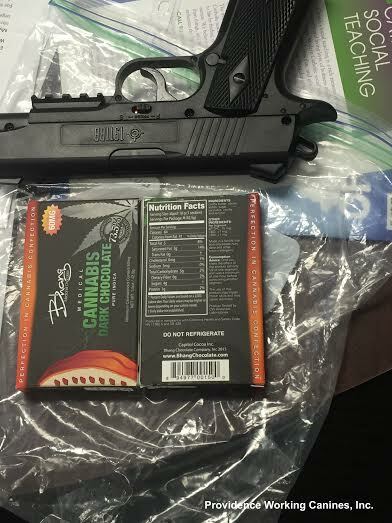 These Marijuana Edibles, in Chocolate Bar Form, were discarded in a Private School Men's Restroom trashcan just ahead of our Working Canine Team. 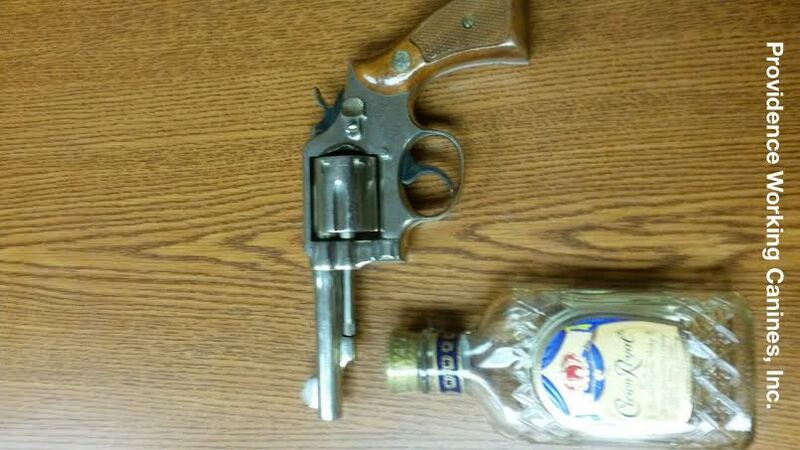 Along with the Marijuana Candy, the Student discarded a BB Handgun with a .45 caliber sized exposed muzzle. 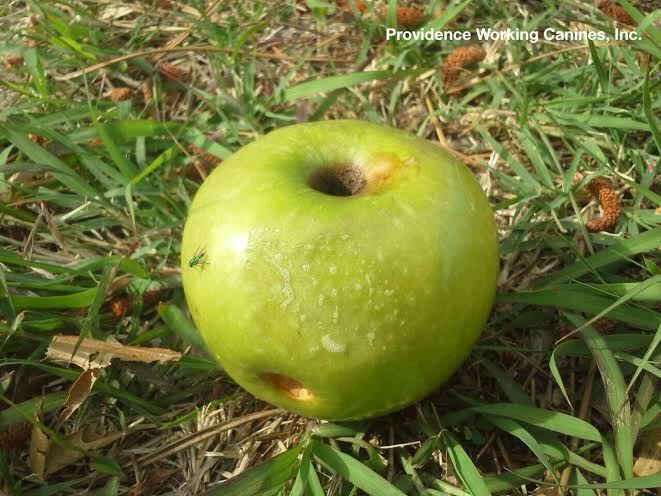 Sadly, history has recorded the lethal response from Law Enforcement toward Students when less lethal weapons, such as this one, is pointed in a threatening manner. Regardless, this double discard is, once again, symbolic of deterrence in action. Successfully detected inside a Student's vehicle while parked on a High School Campus. 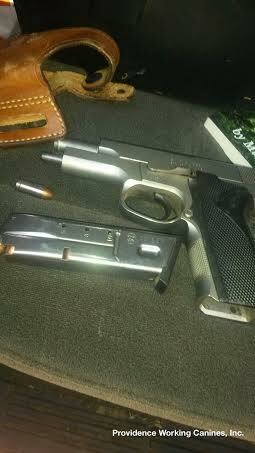 Although only discharging pellets, it was later learned that this Handgun was brandished at the public the night before. Most certainly, it would be met with a lethal force response by Law Enforcement. 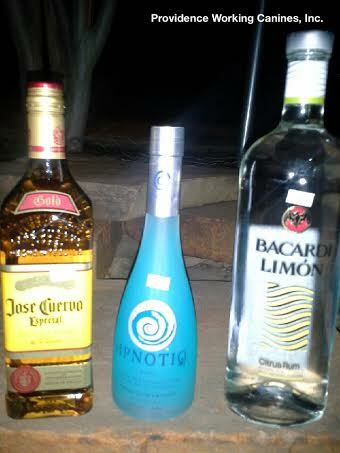 Mixed with Alcohol and Blunt Activity, too many wrong choices were discovered here. 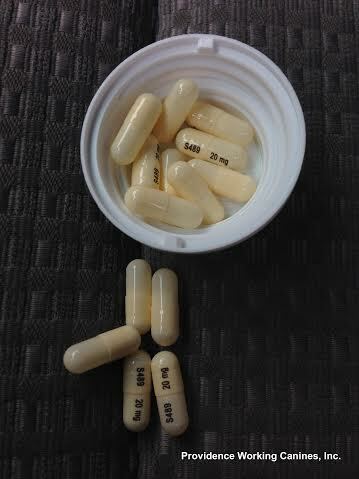 These undeclared CNS Stimulants, Rx Vyvanse, were successfully detected inside a Student's vehicle while parked on a High School Campus. 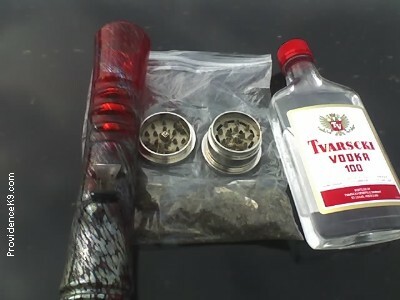 So, I Smoke A Little Weed! Successfully detected inside a Student's vehicle while parked in Faculty Parking on a High School Campus. 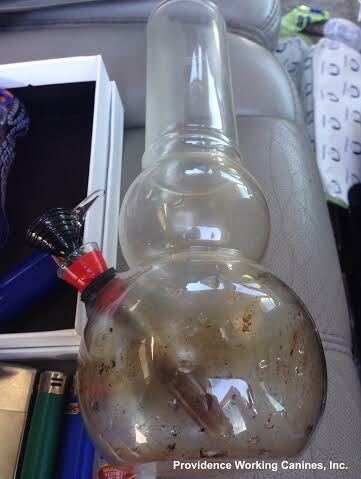 Upon discovery, the smaller acrylic pipe was found to still be warm to the touch. 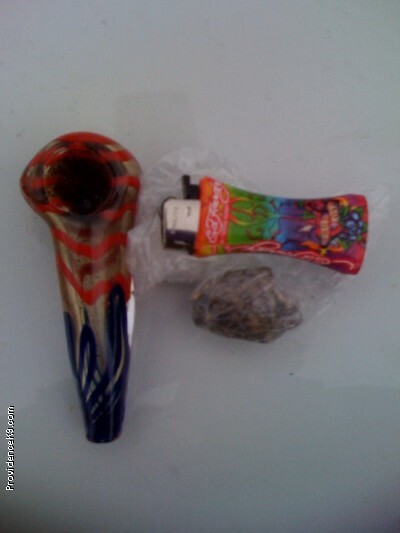 The Student exclaimed, So, I smoke a little weed!